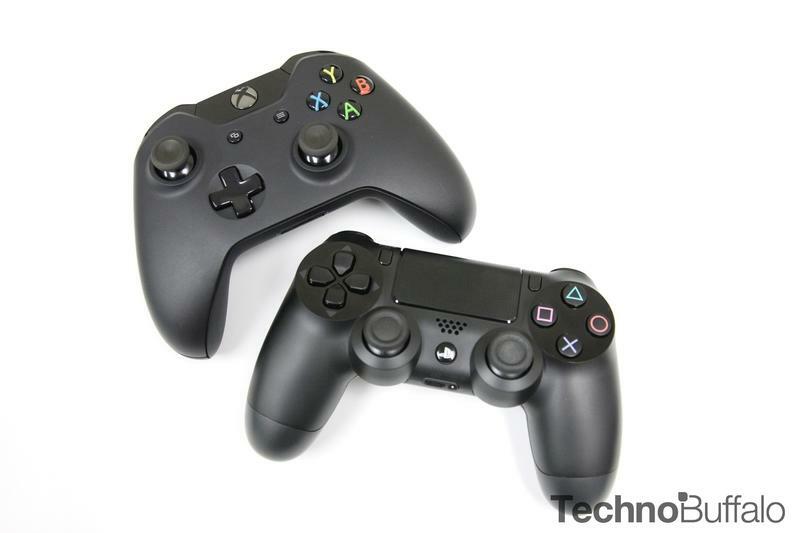 The holiday shopping season is well underway and is, without a doubt, a stressful time. 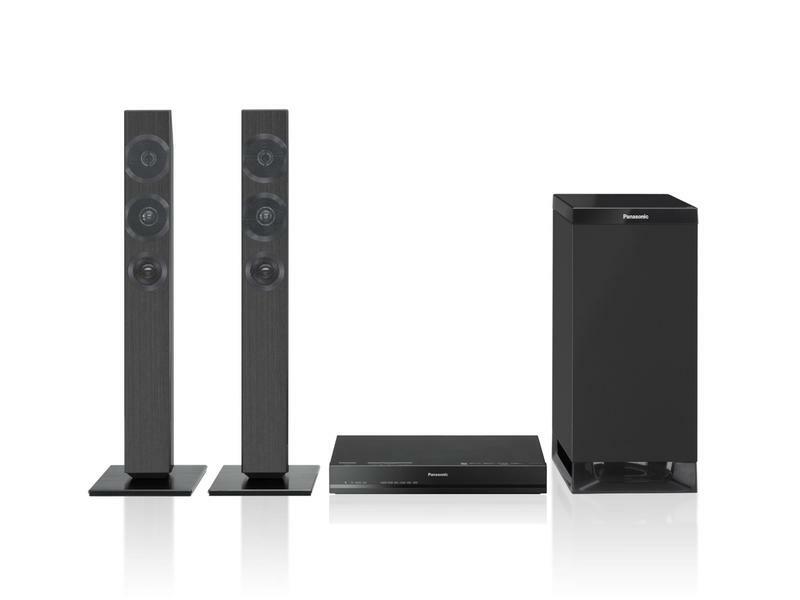 A great way to relax and get away from all the hectic nature of the holidays is to decompress in your own home theater. 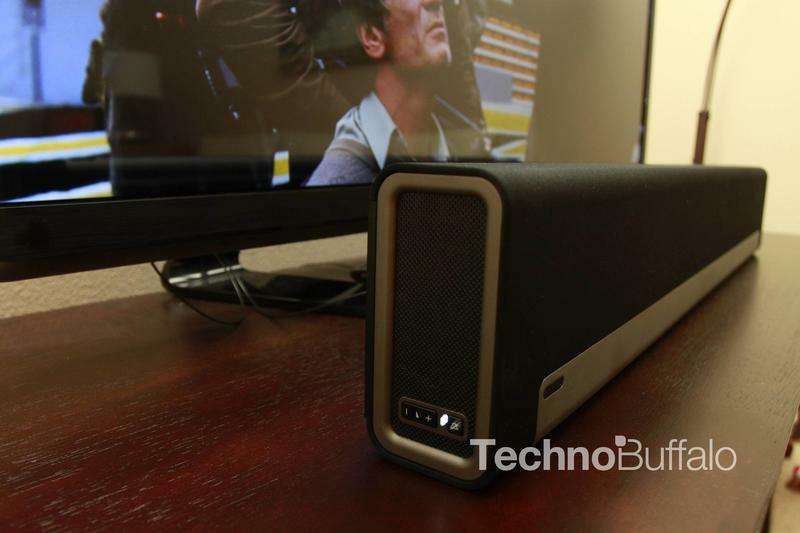 We’ve put together a list of our favorite home theater products that we’d like to have in our own entertainment room. 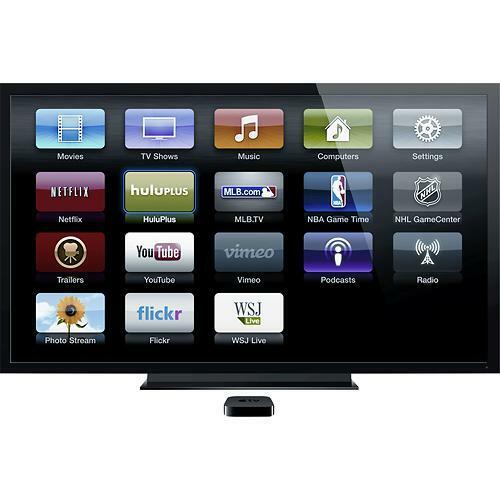 Let’s start off first with the TV, as it should be the focus of any home theater system. 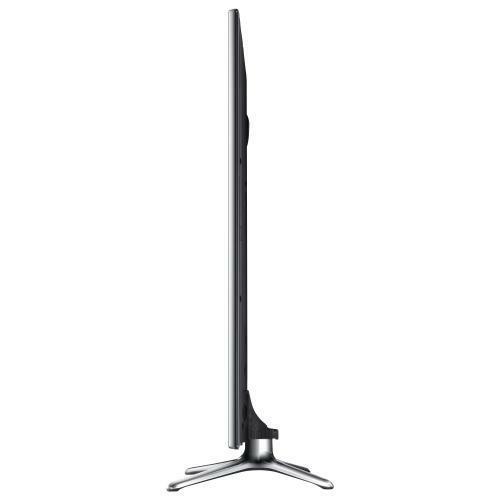 We decided to rule out 4K TVs; as cool as it is to be on the forefront of technology, the lack of content and the $4,000 to $40,000 price tag is hard to justify. 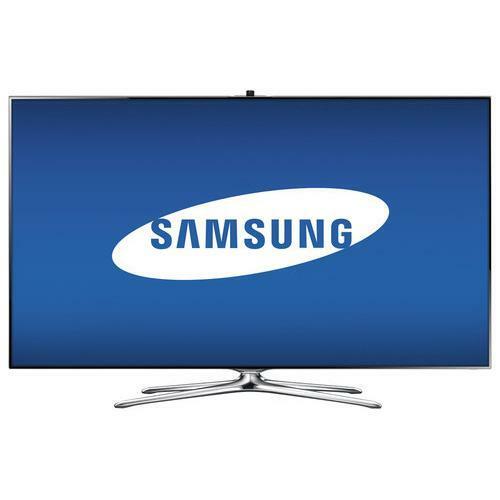 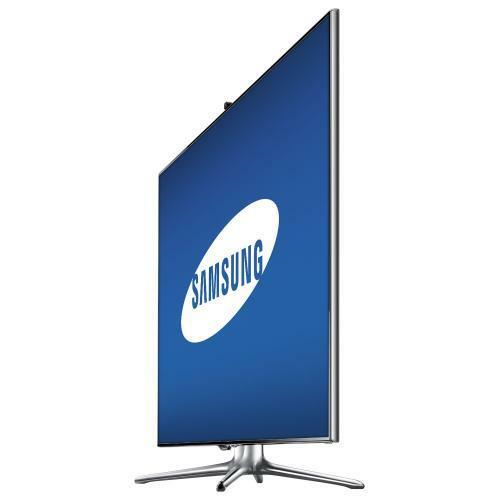 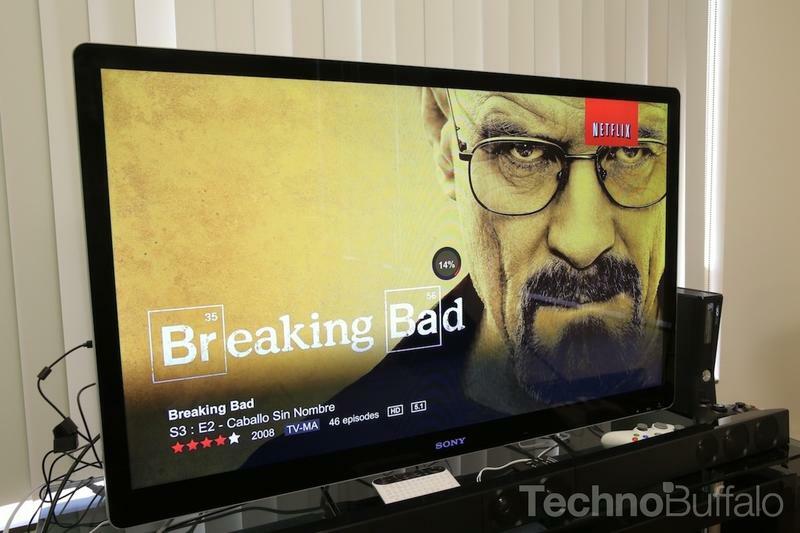 However, for $2,300 the Samsung 60-inch LED 3D TV has all the bells and whistles you need and more. 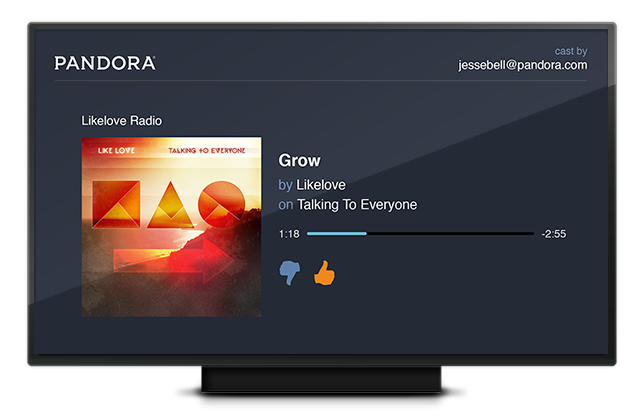 One of the thinnest bezels on the market, Active 3D, 240Hz refresh rate, Smart TV Apps with Netflix, Pandora, Skype and YouTube (so you can watch our YouTube Channel of course), smart touch remote (including voice controls), and pop-up Skype cam. 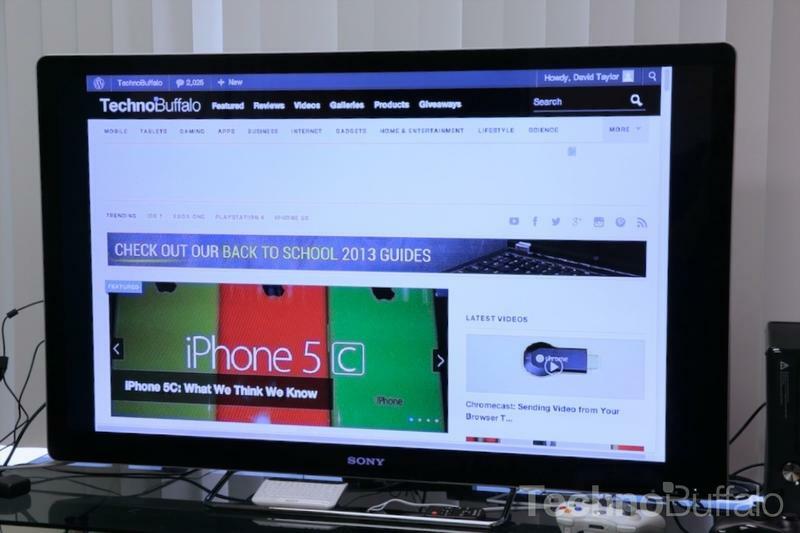 This TV has pretty much everything you will need. 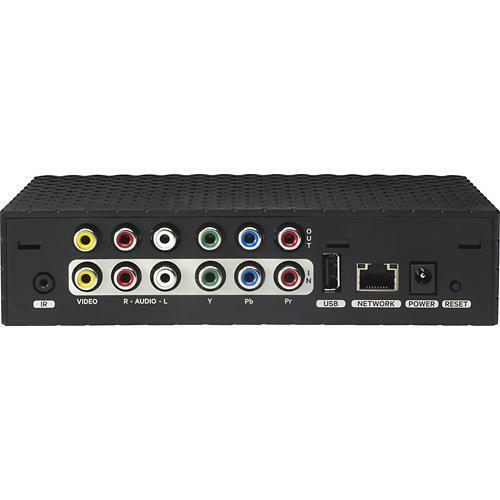 Any complete home theater system must have a decent audio set up. 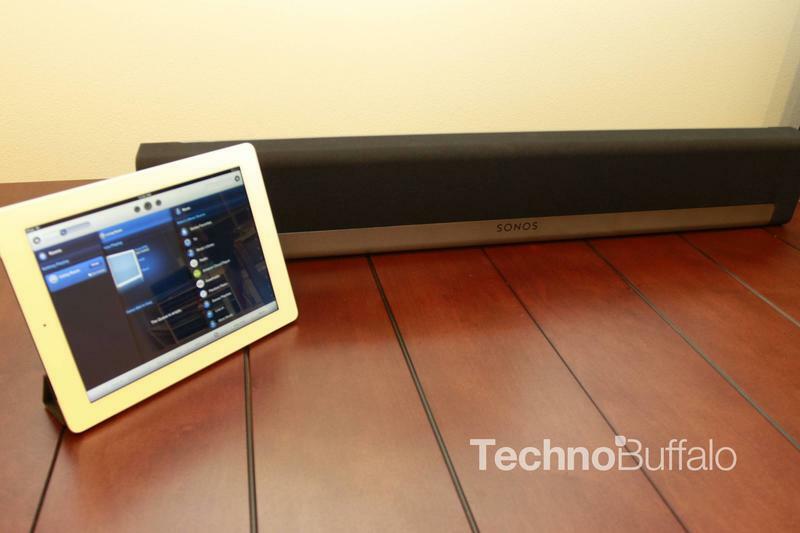 And you can’t go wrong with the Sonos Playbar and Sonos Sub. 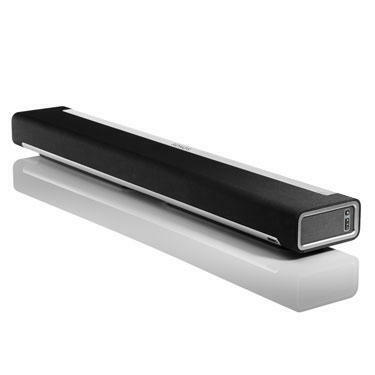 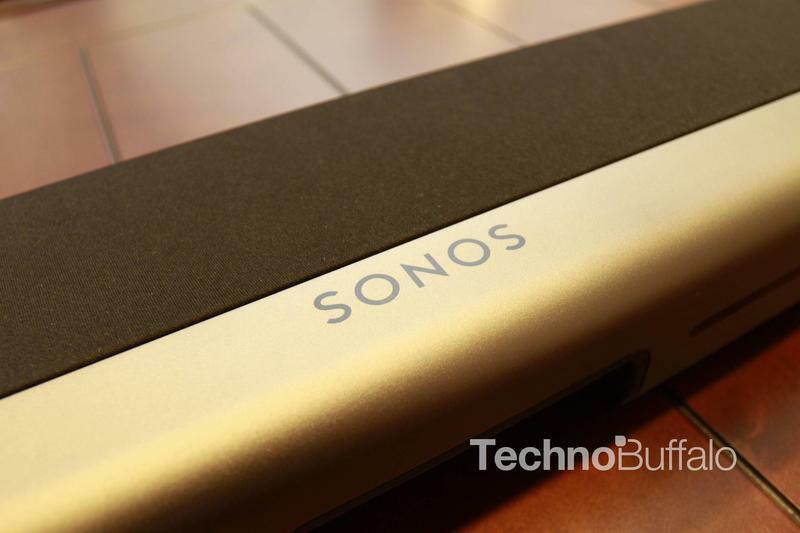 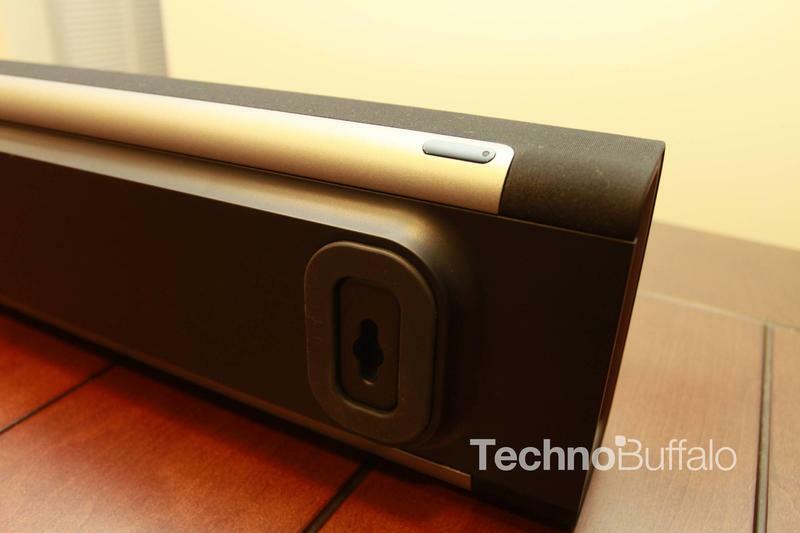 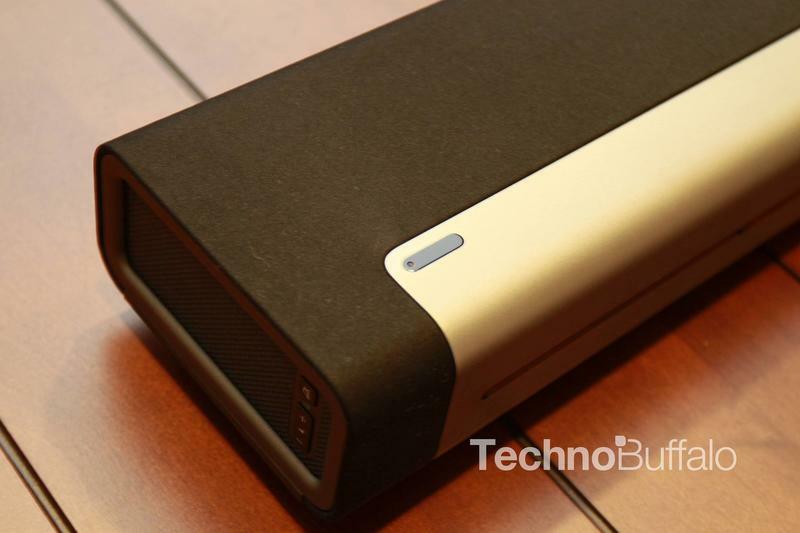 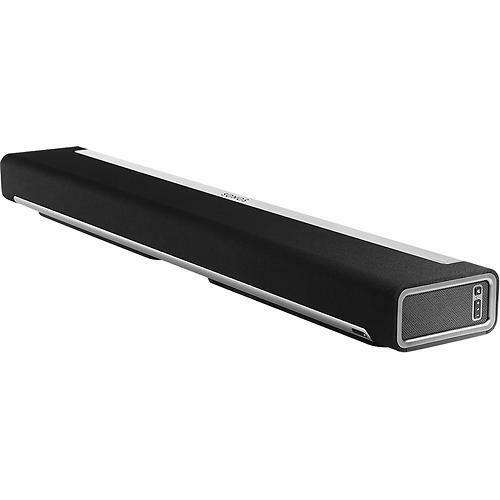 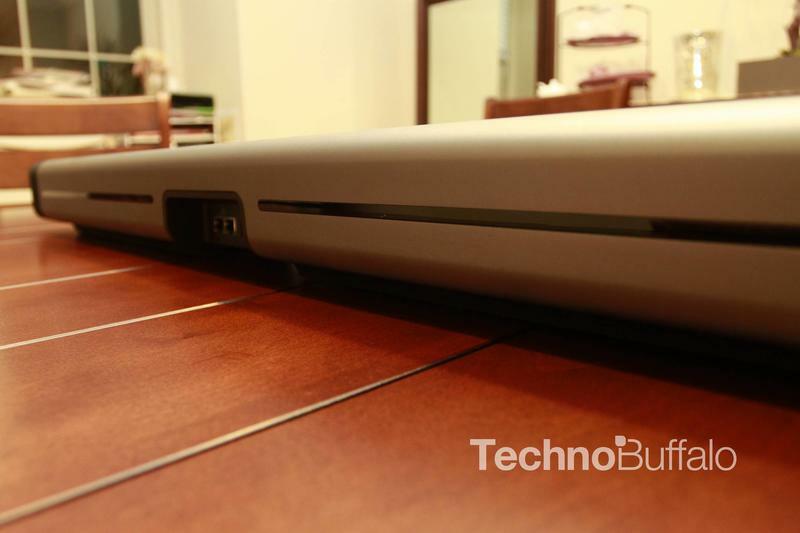 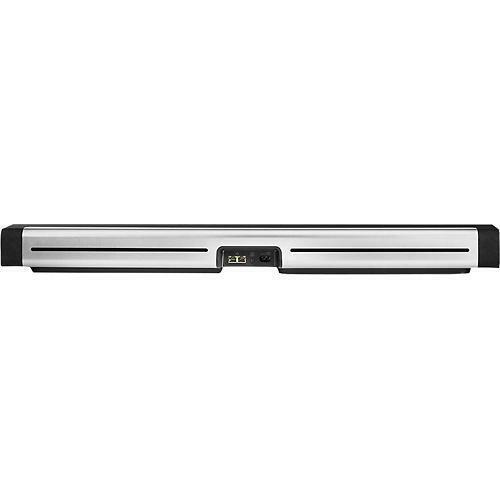 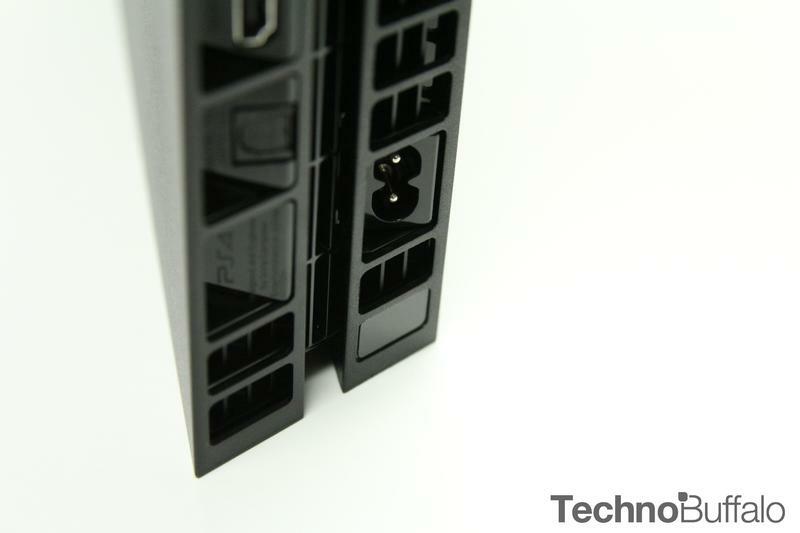 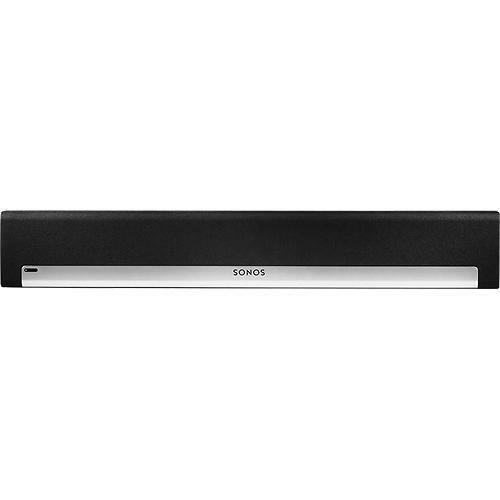 Sonos advertises the Sonos Playbar as the soundbar for music enthusiasts and certainly lives up to that moniker. 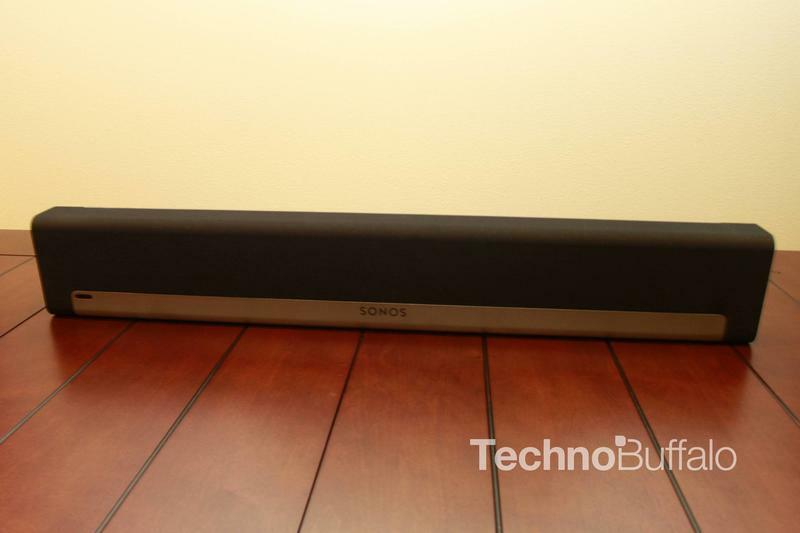 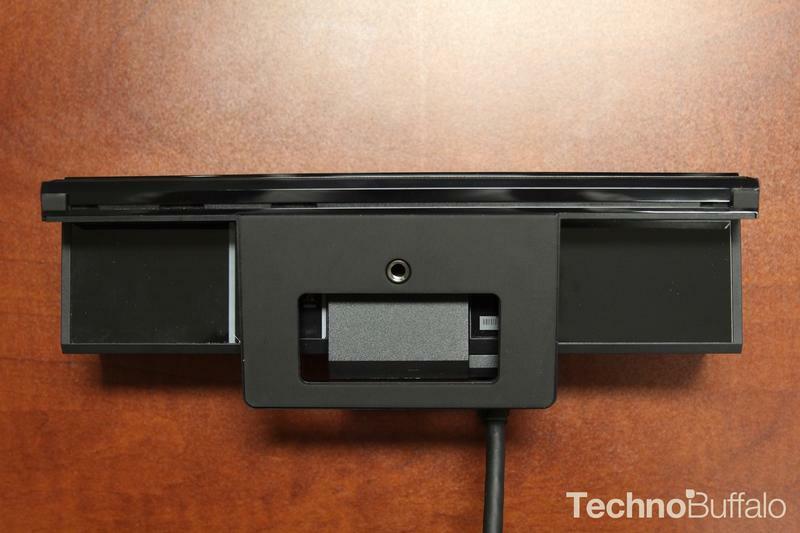 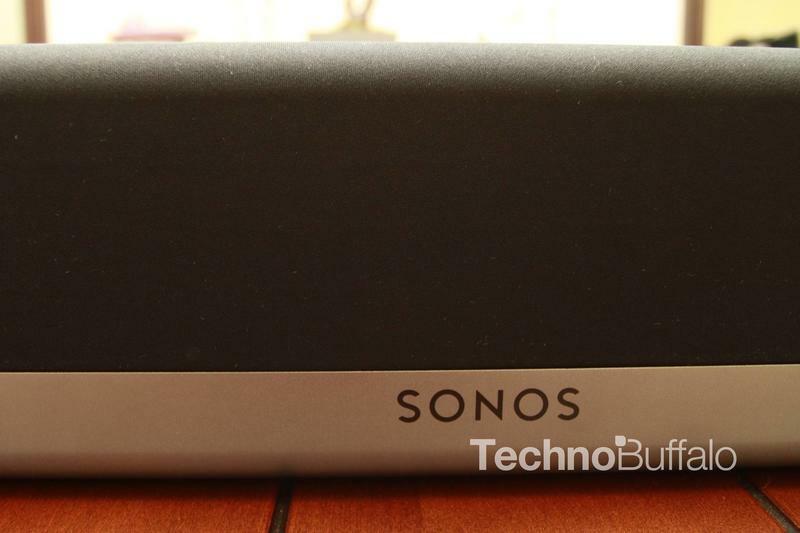 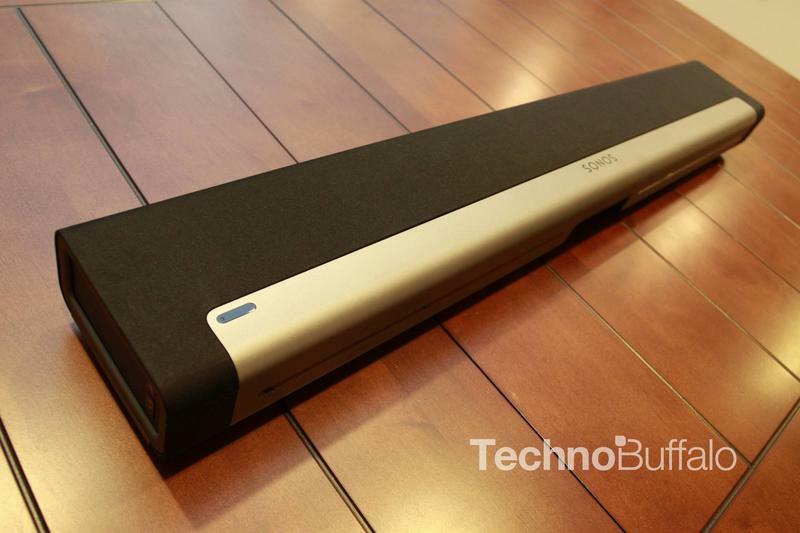 Though the Sonos Playbar can fill an entire room with sound and depth, the Sub adds additional “oomph” though it is better experienced than to try to explain. 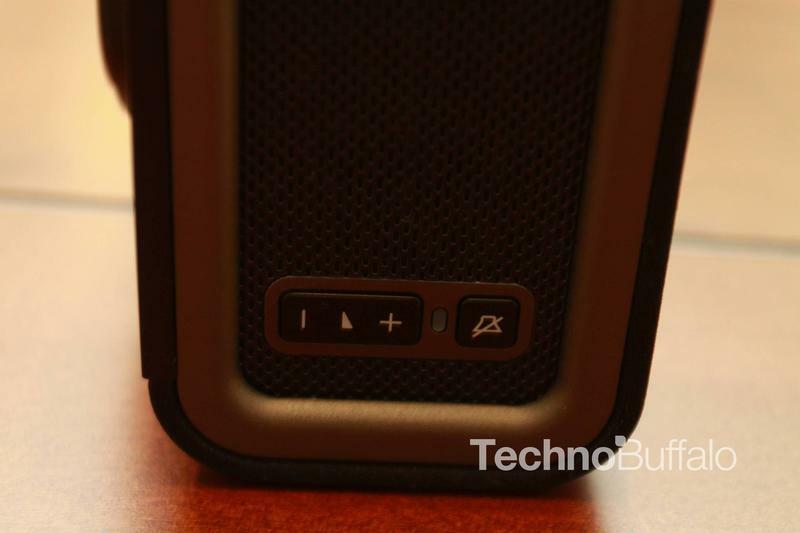 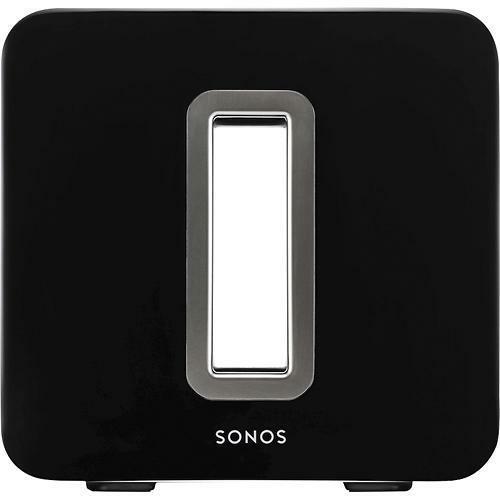 Sonos is to audio equipment what smartphones are to the telephone industry. 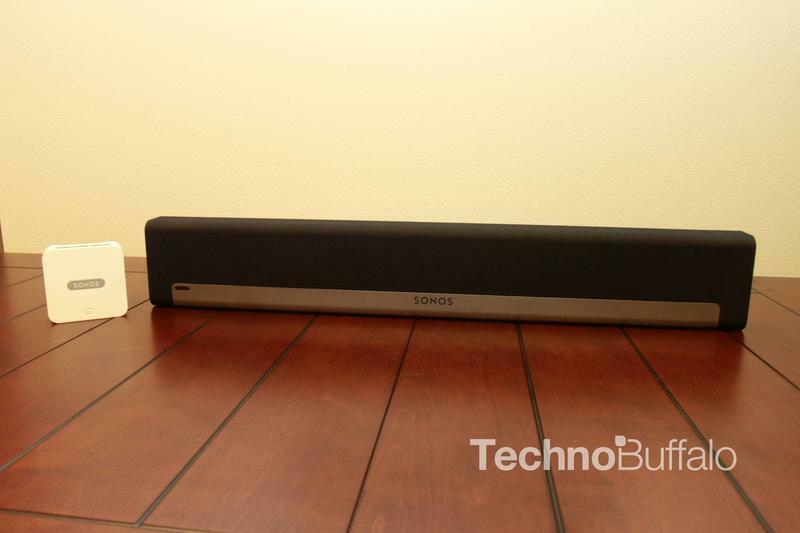 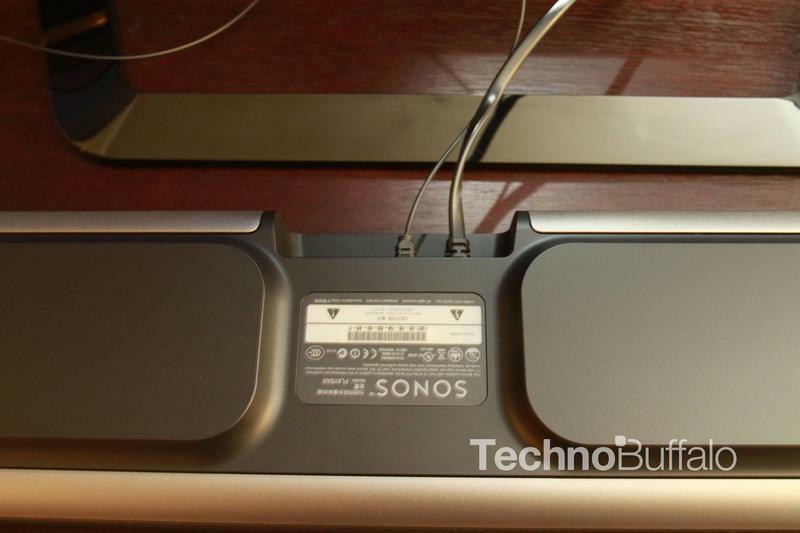 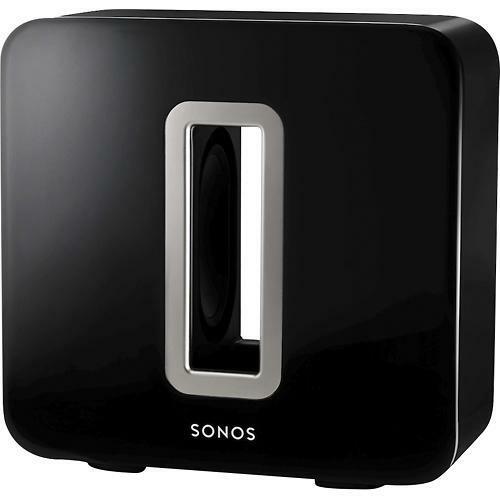 Sonos products are always high on our lists and it certainly would live in the TechnoBuffalo home theater. 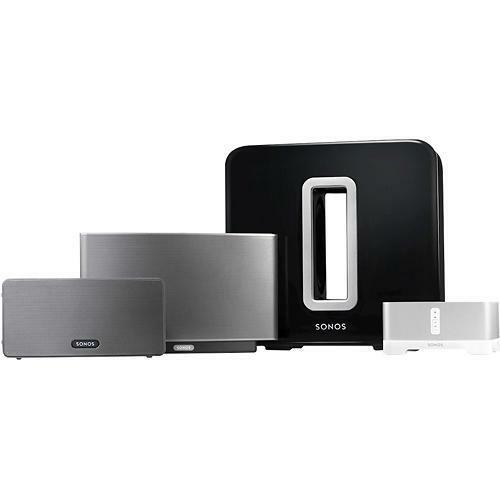 Not everyone can afford the set up of the Sonos home theater and there are plenty of other fine speaker set ups out there. 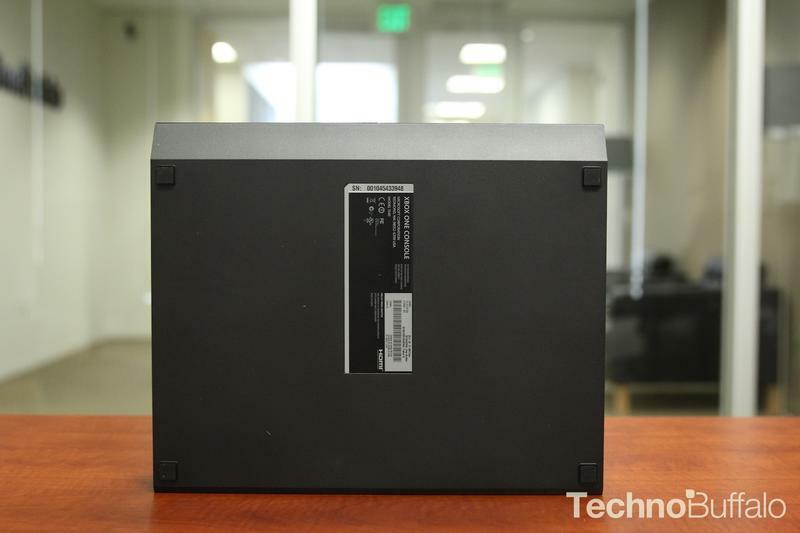 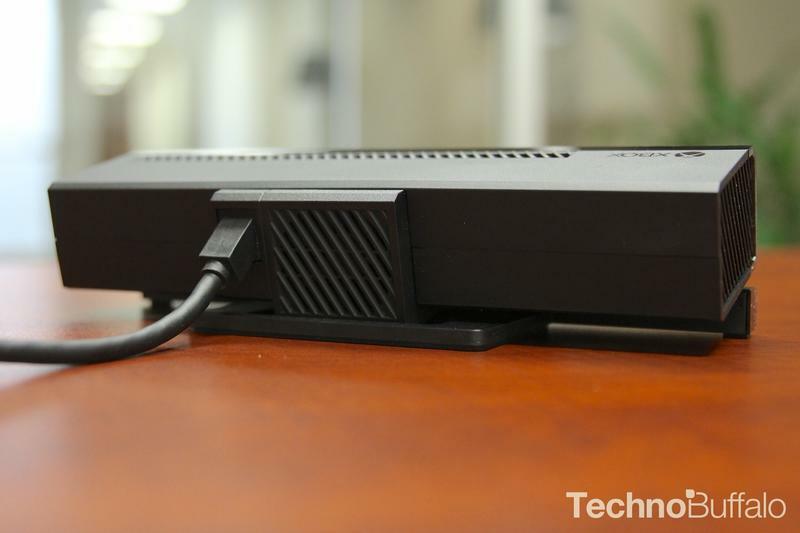 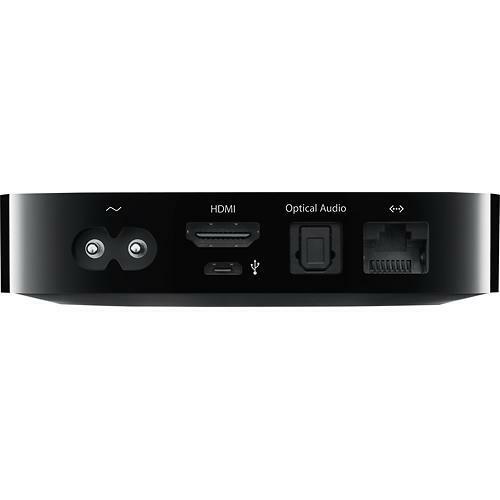 For example, Panasonic has a home theater set up that can be configured as a soundbar or a standup speakers that sit along the side of your TV. 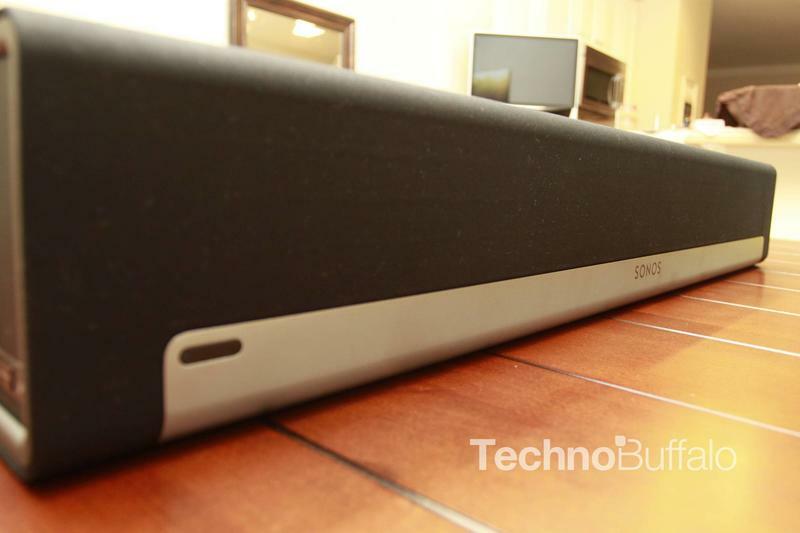 The best part,however, is the wireless subwoofer. 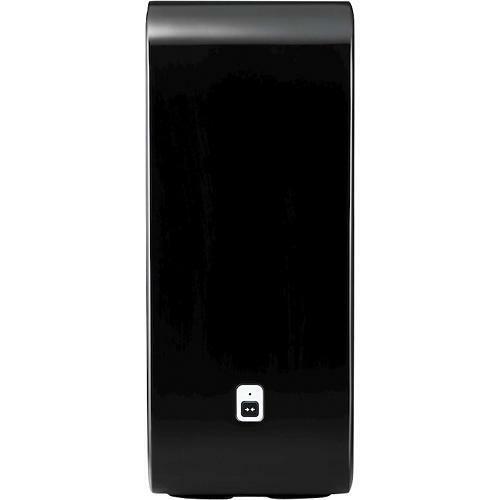 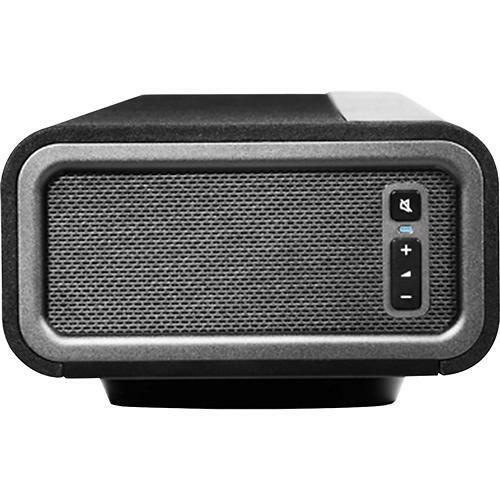 We had a chance to try out this unit and it is simply amazing how loud and deep the subwoofer can get. 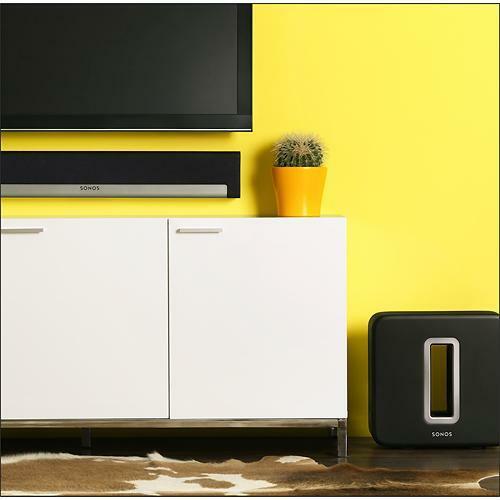 The versatility is a big plus if you are unsure how you want to set up the speakers, especially if you want to move in the future. 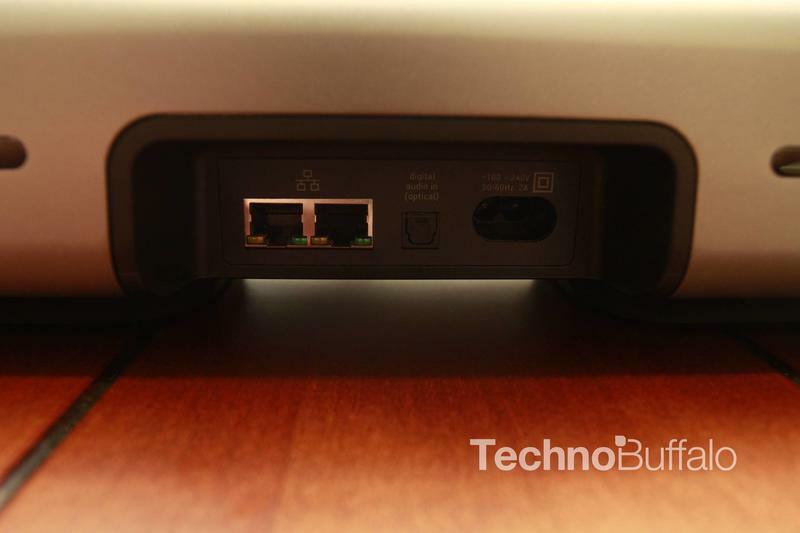 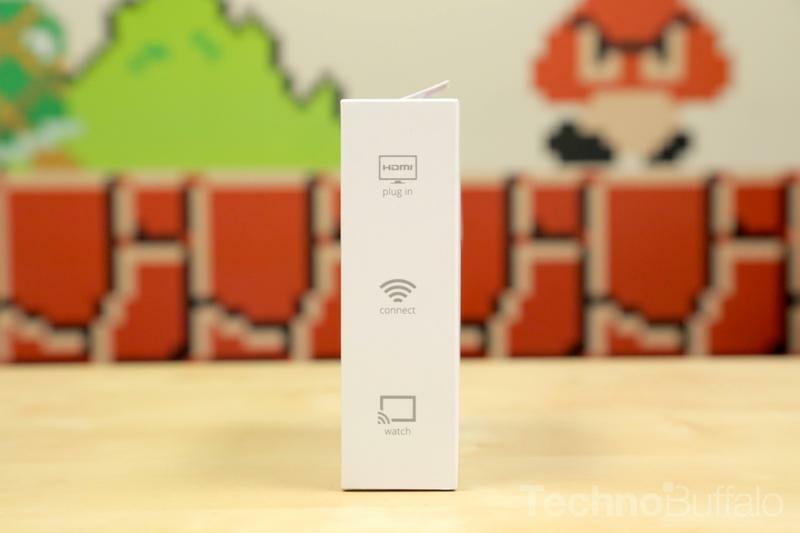 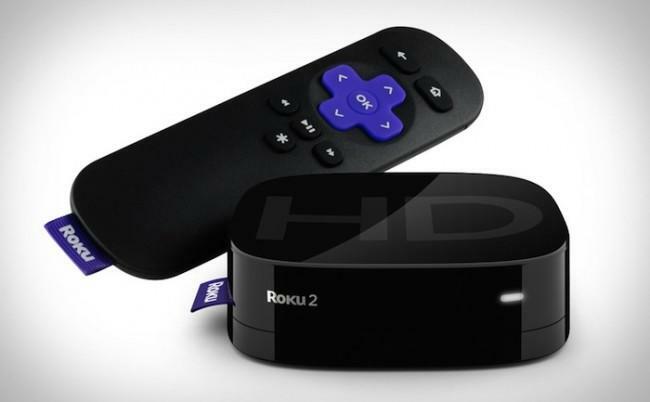 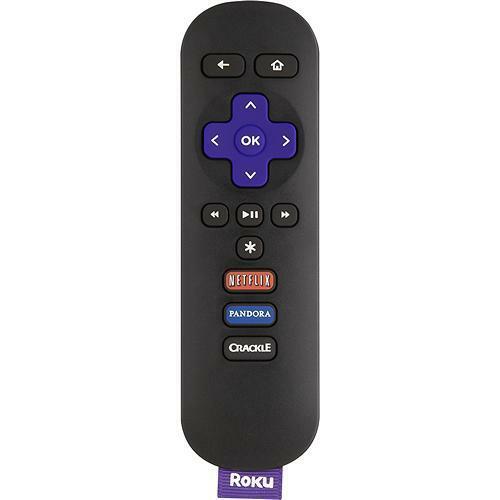 If you don’t have a Smart TV, streaming media set top boxes are a fantastic way to upgrade your TVs brains without forking out thousands of dollars. 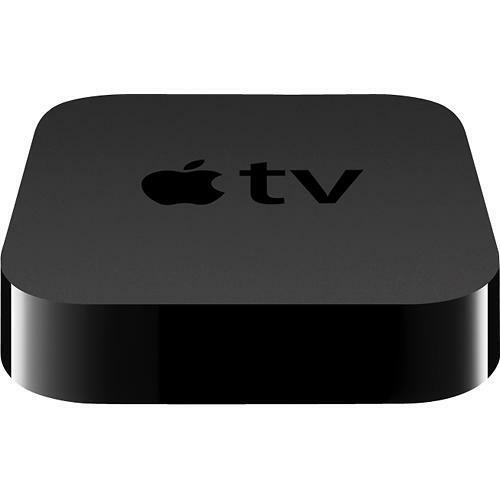 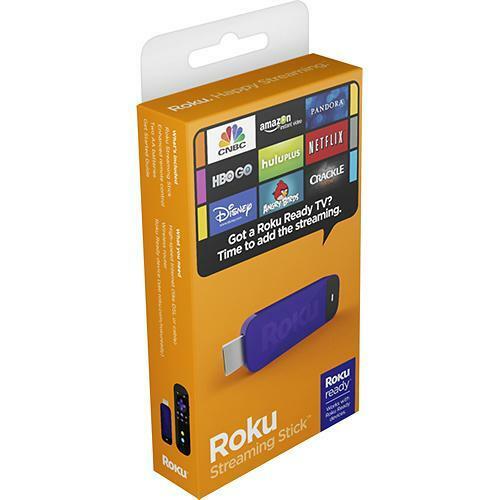 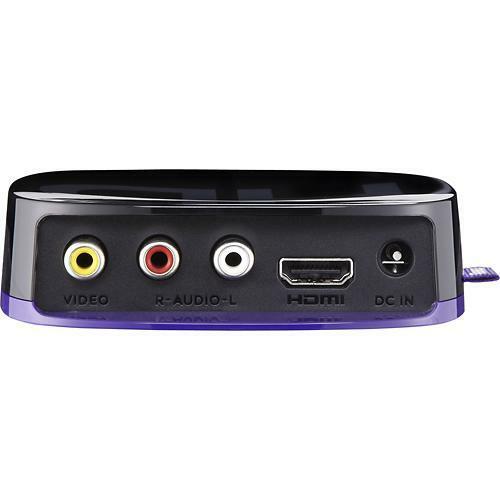 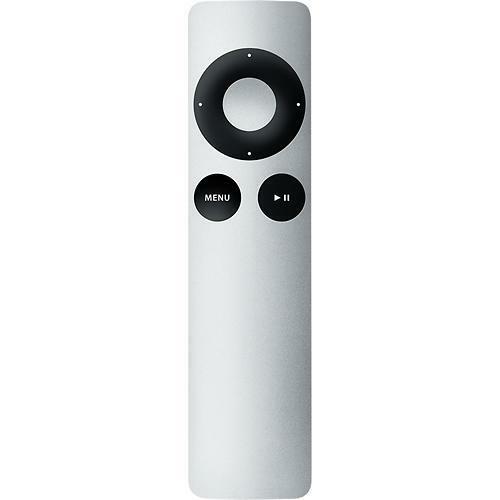 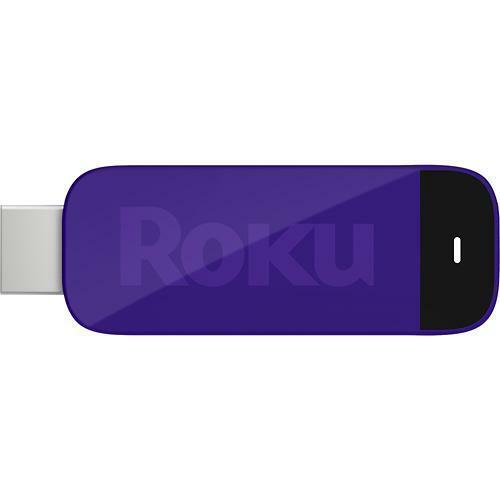 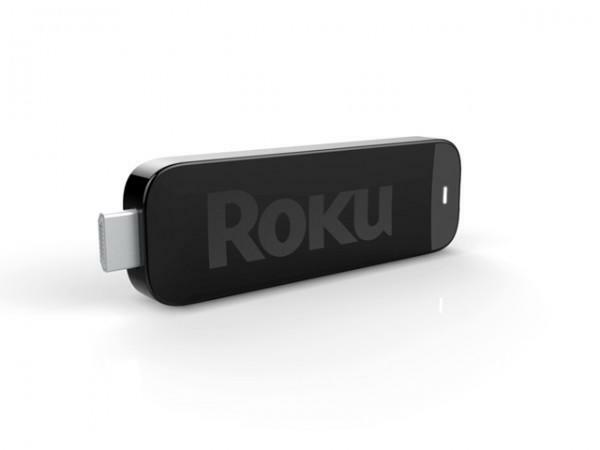 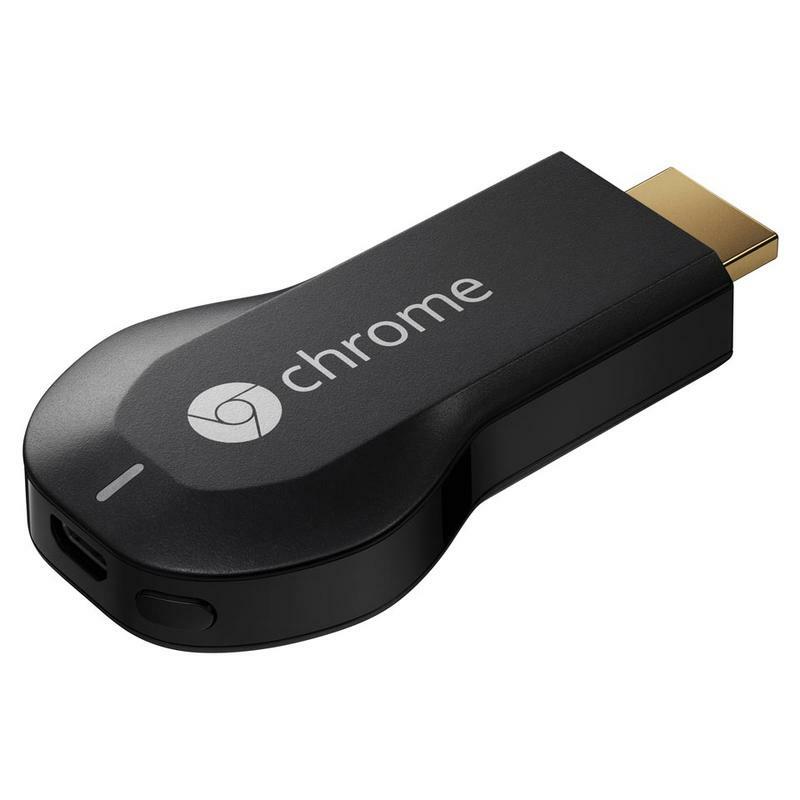 In fact there are fantastic plug-in options like the Apple TV, Roku or Chromecast to name just a few. 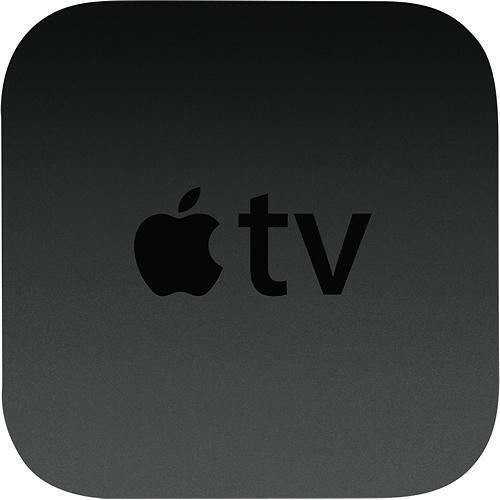 We like them all, for different reasons, Apple TV has some solid channels/apps and mirroring is really consistent, while Roku can be as cheap as $30-$40 a unit and offers a steady stream of new apps and content. 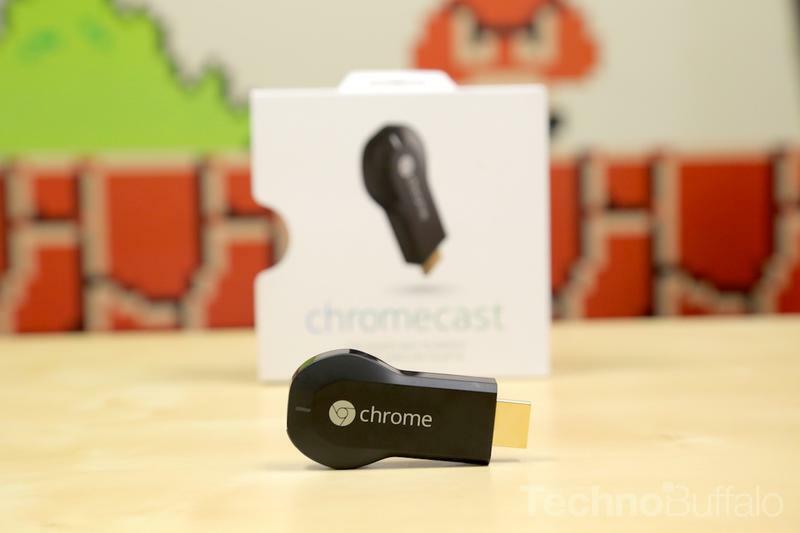 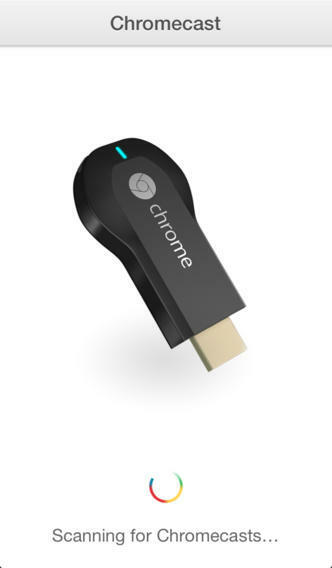 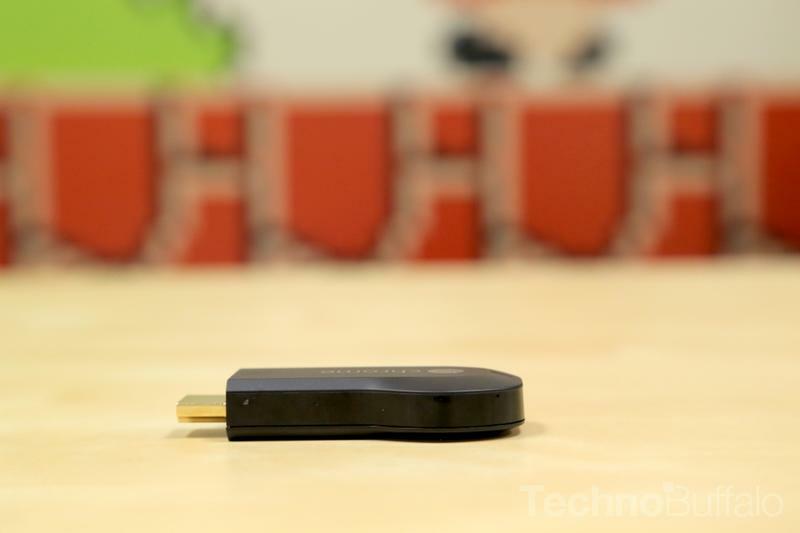 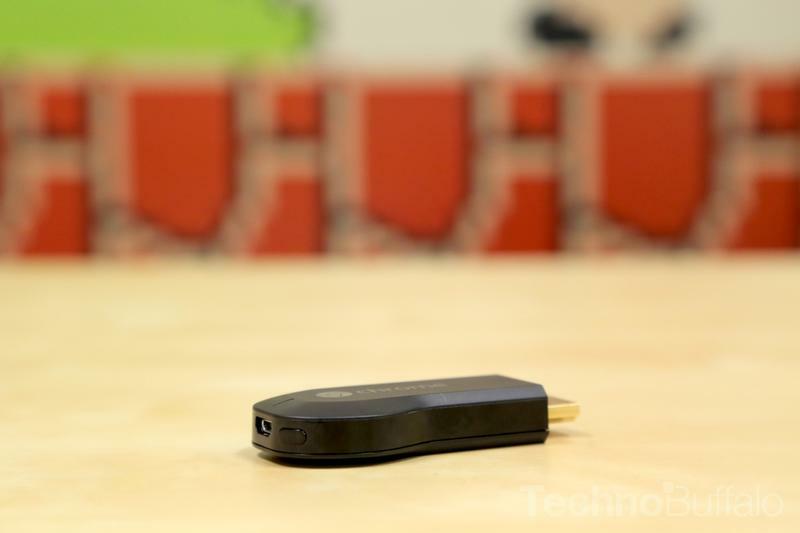 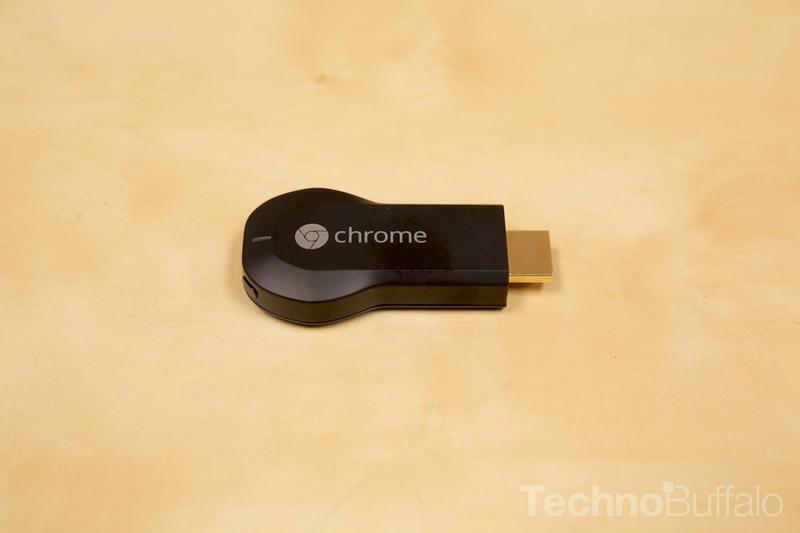 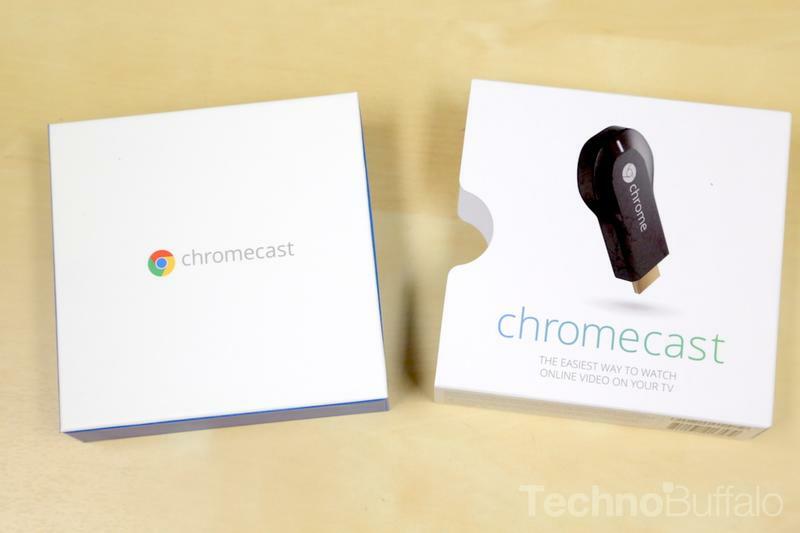 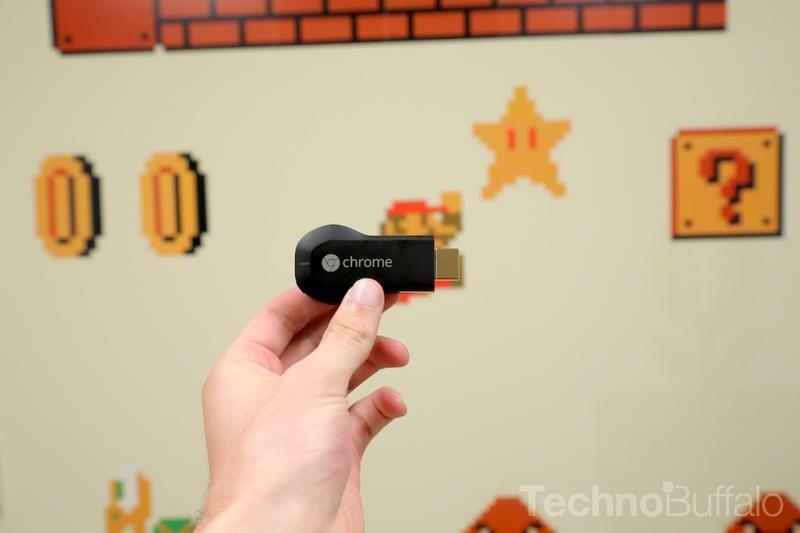 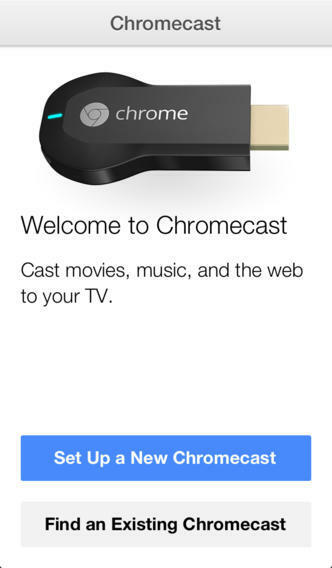 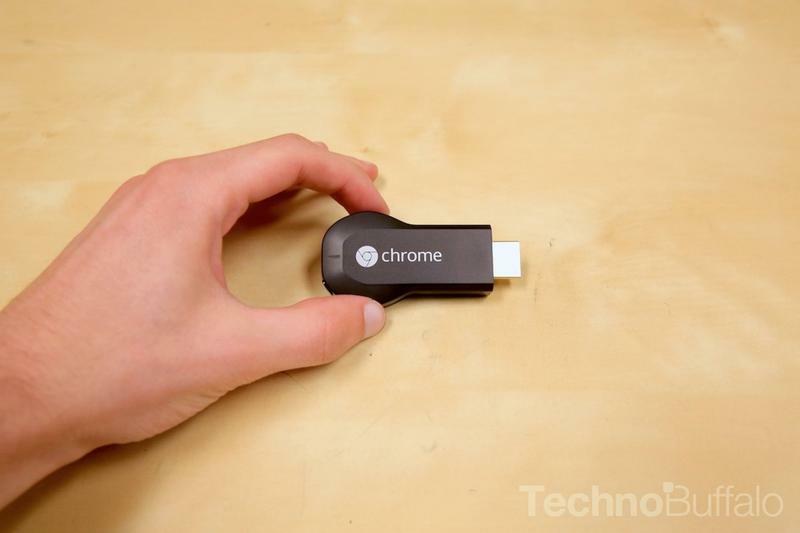 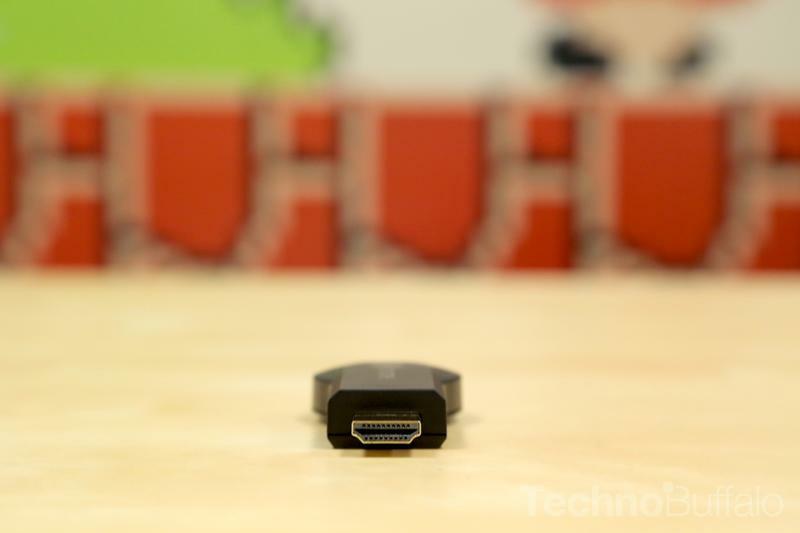 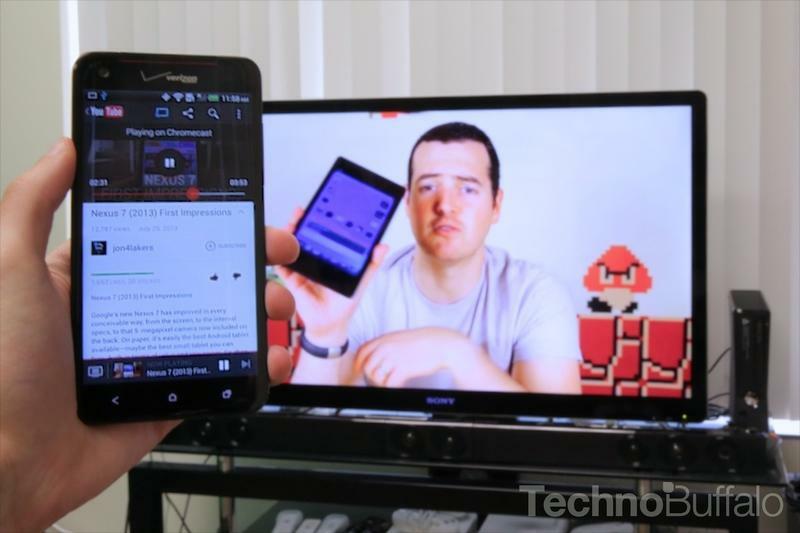 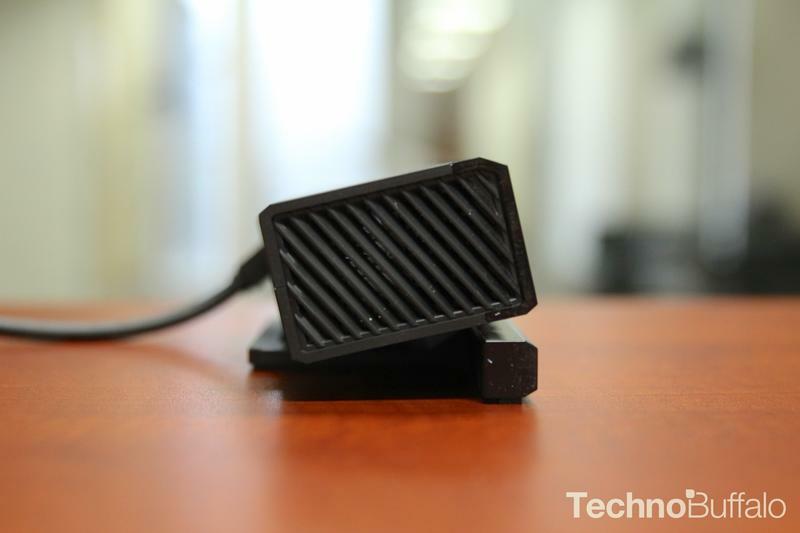 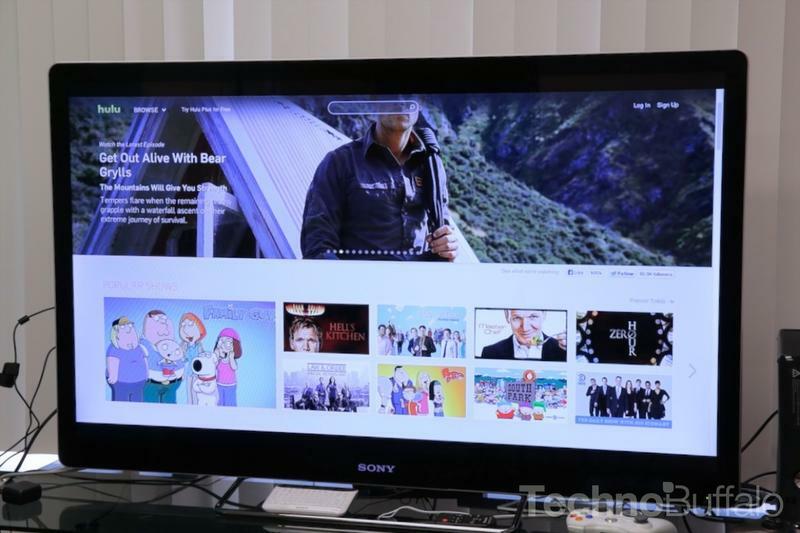 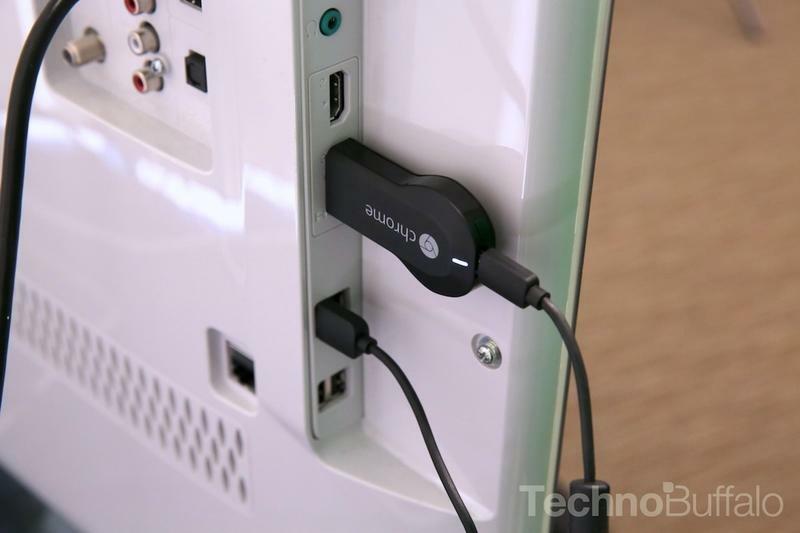 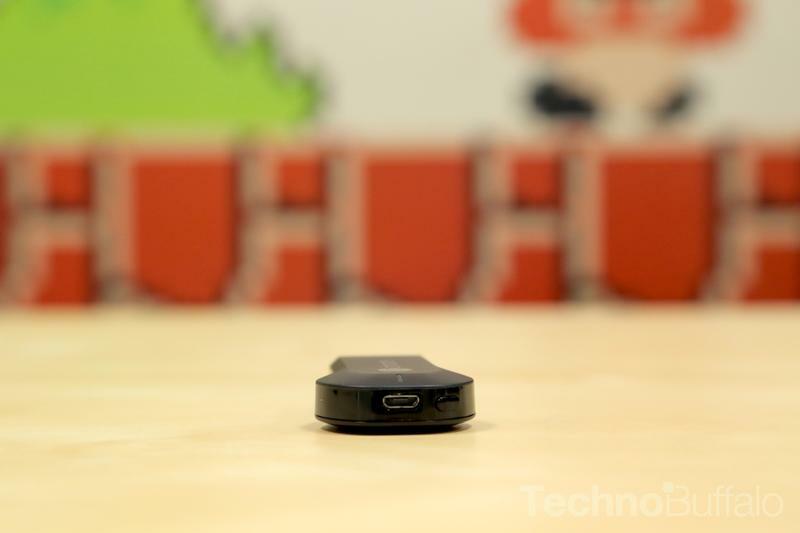 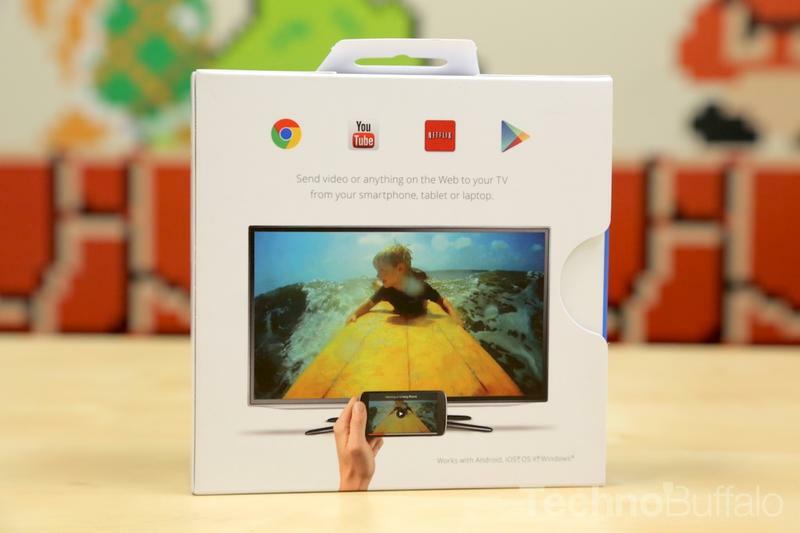 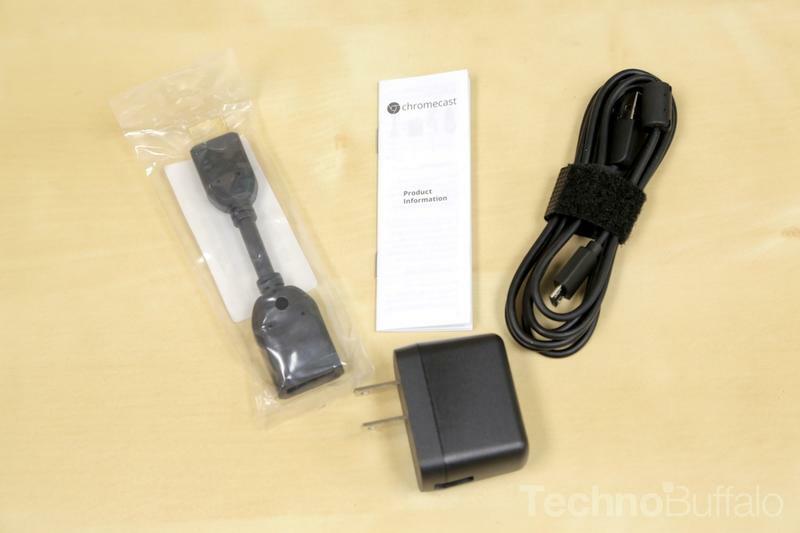 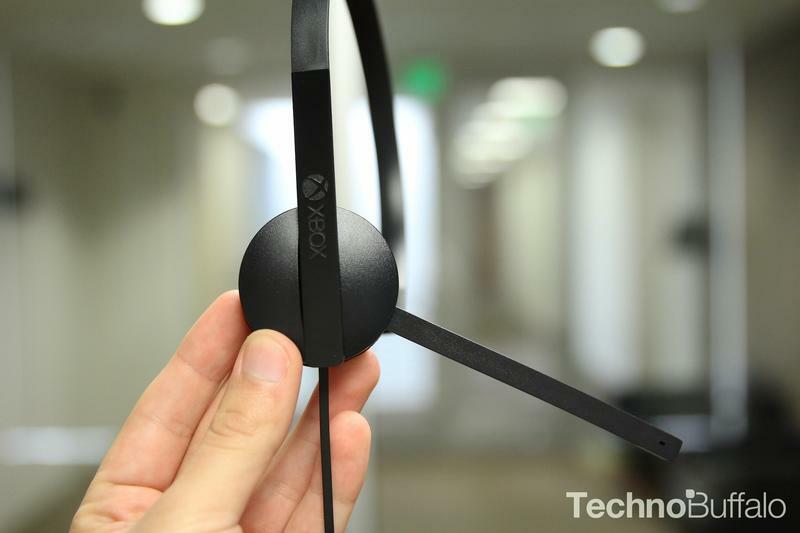 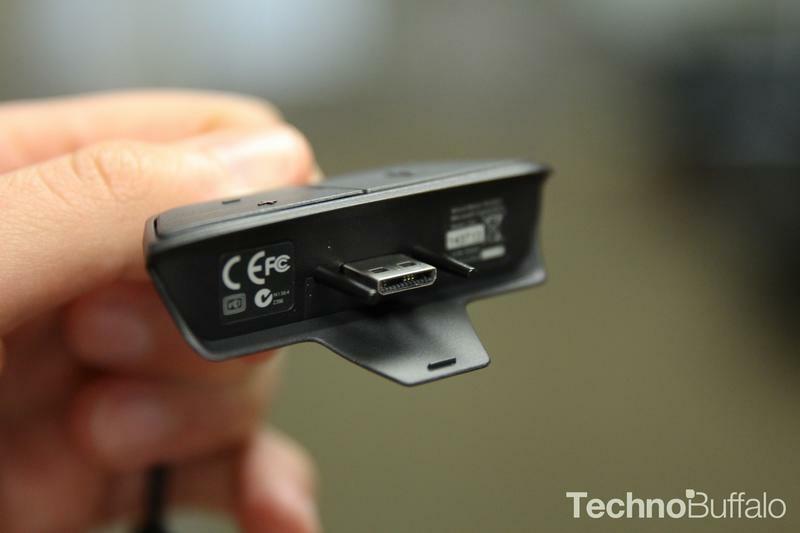 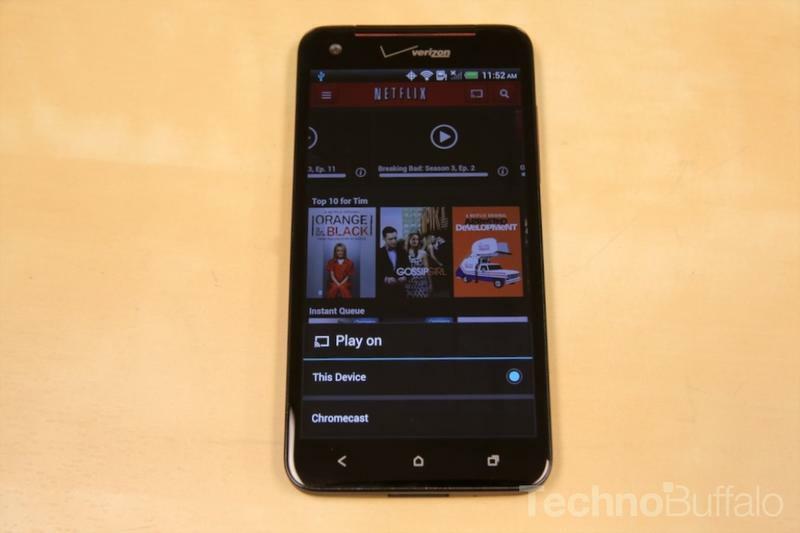 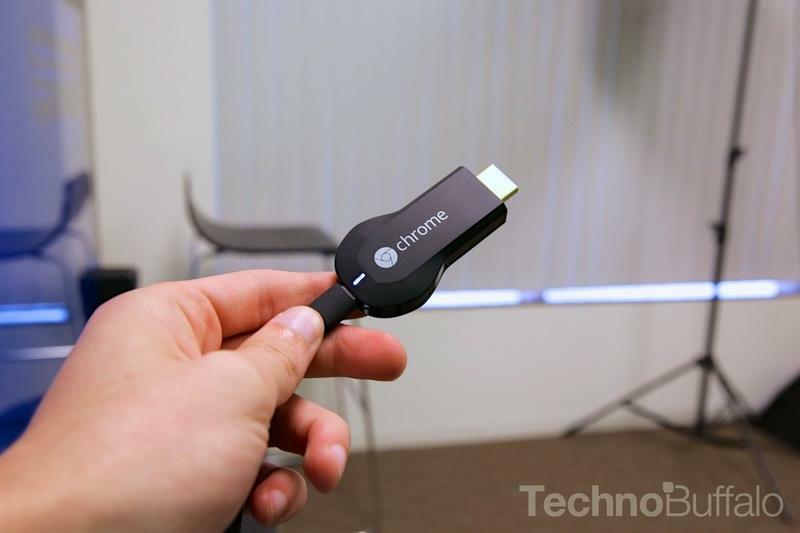 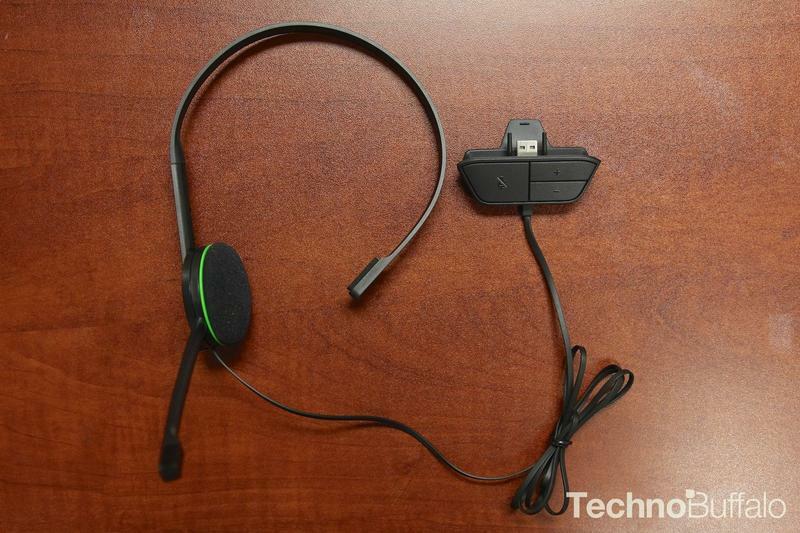 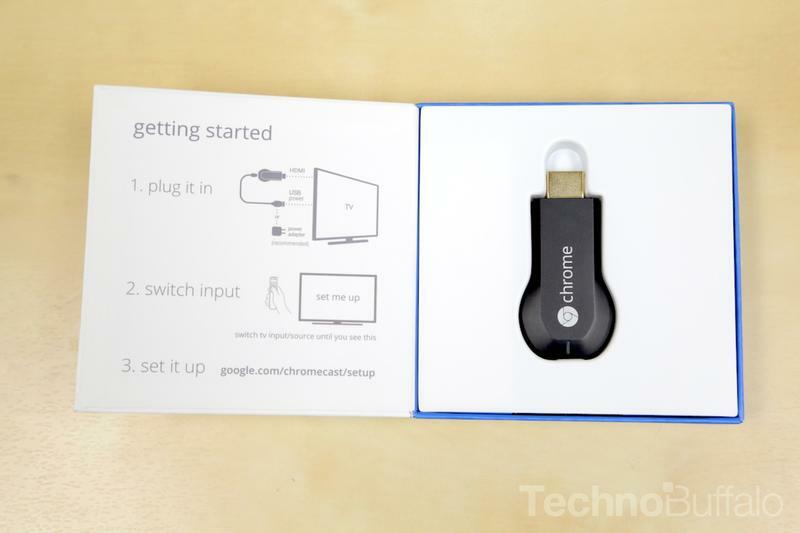 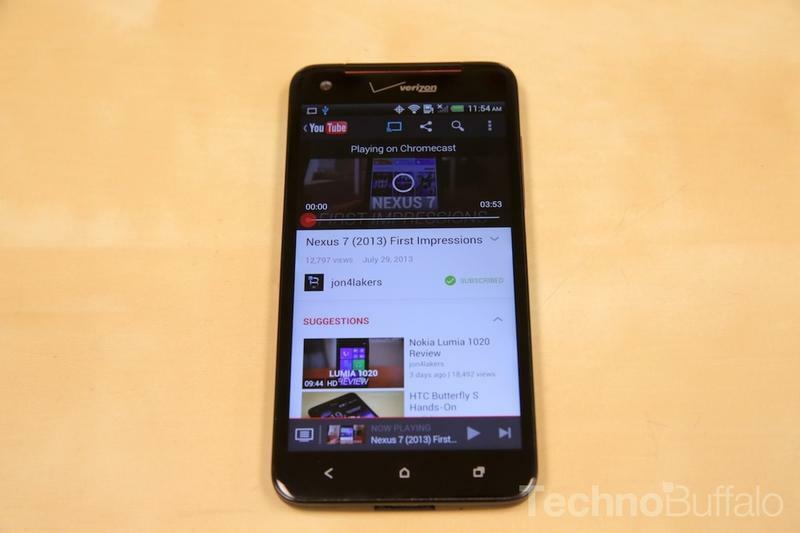 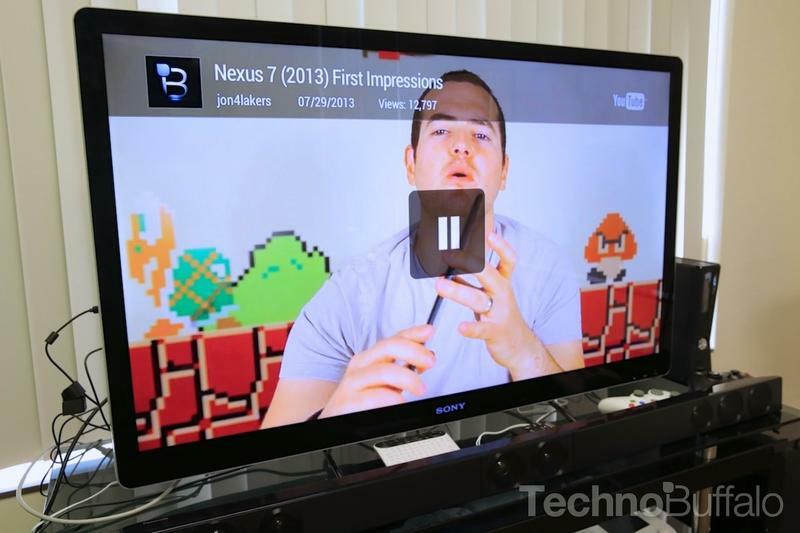 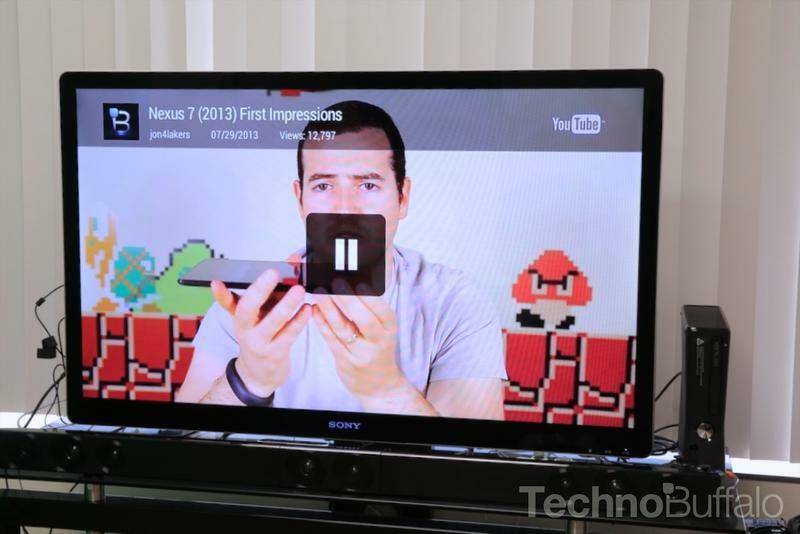 Chromecast is great too for it what it does, but seems like it could and should do more. 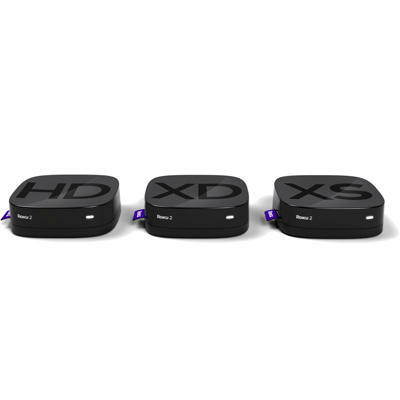 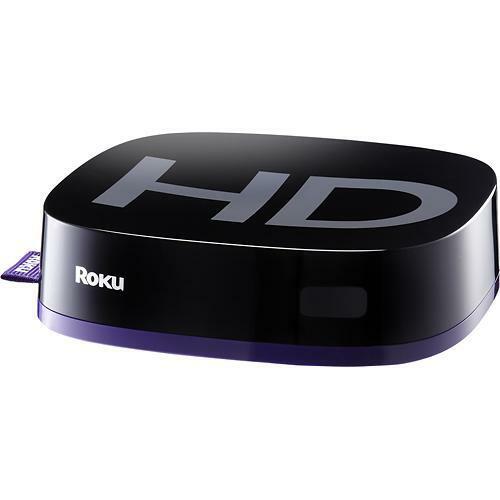 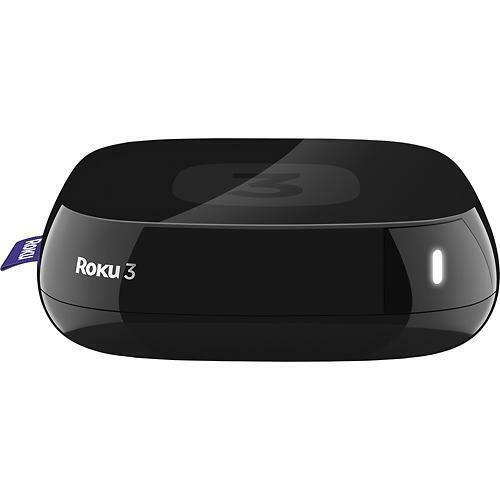 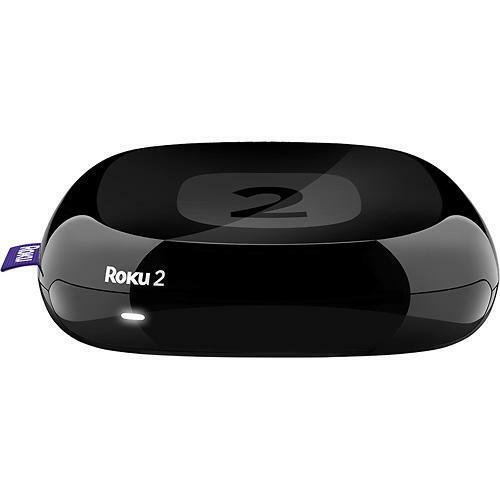 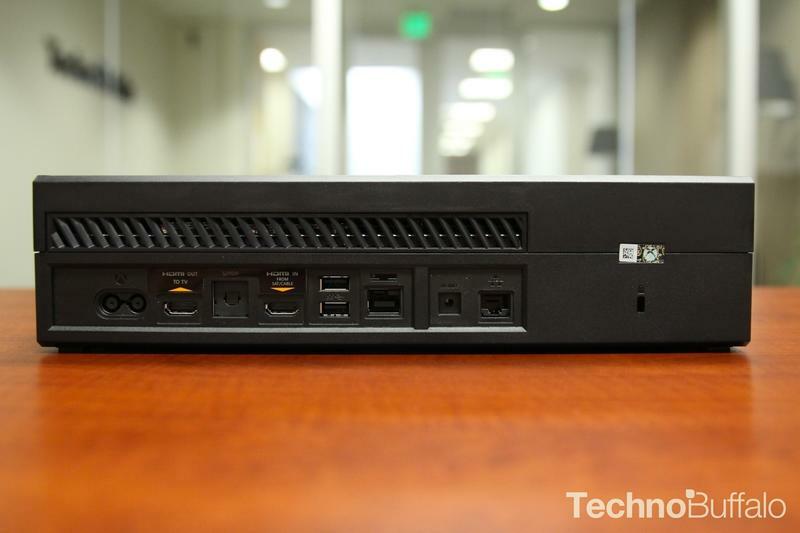 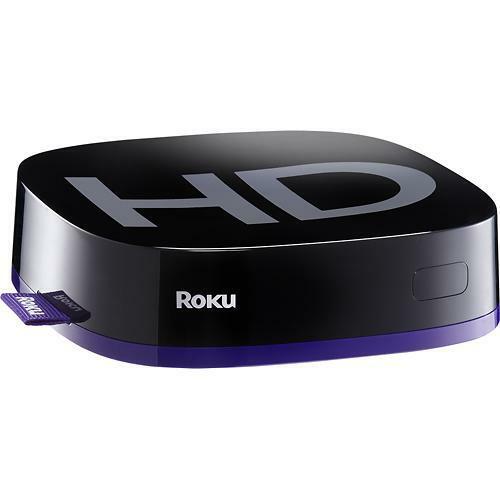 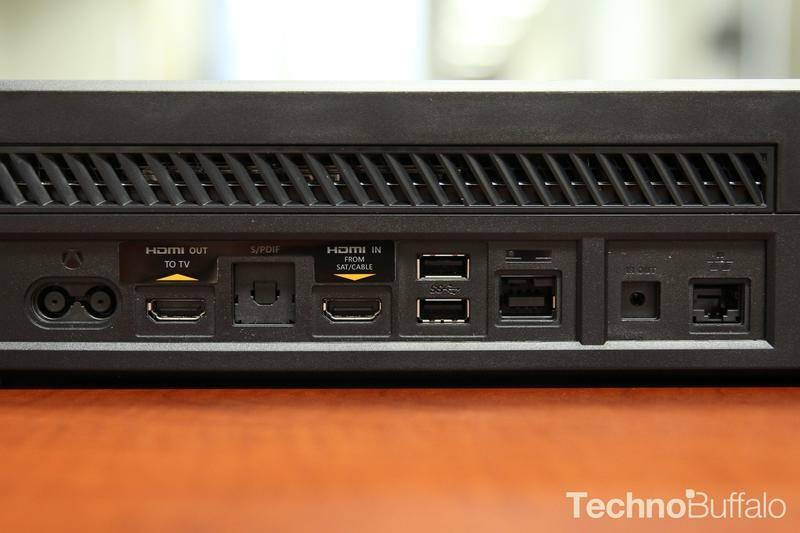 These streaming boxes/units can deliver YouTube, Hulu, Netflix and even your own media library to your TV all wirelessly and all relatively inexpensively. 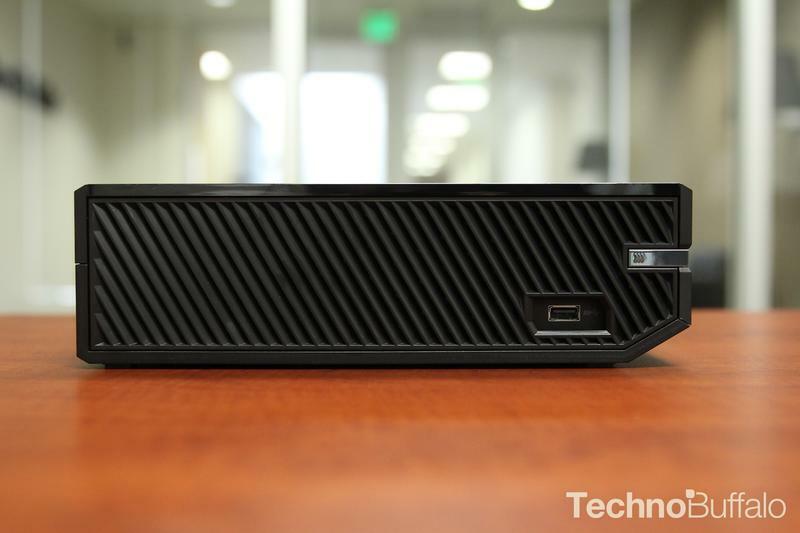 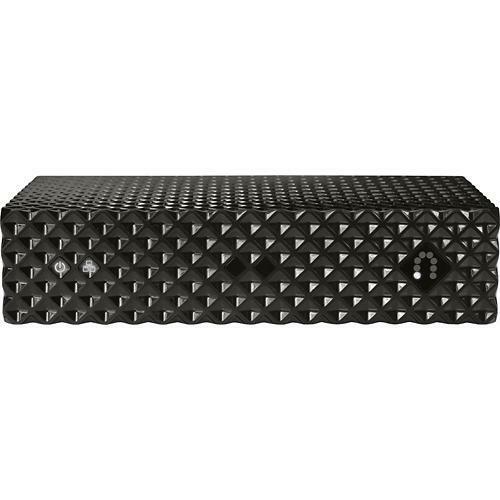 I will be the first to admit the Slingbox 500 errs on the side of a luxury item, priced at $299.99, not everyone can and will purchase one for their home. 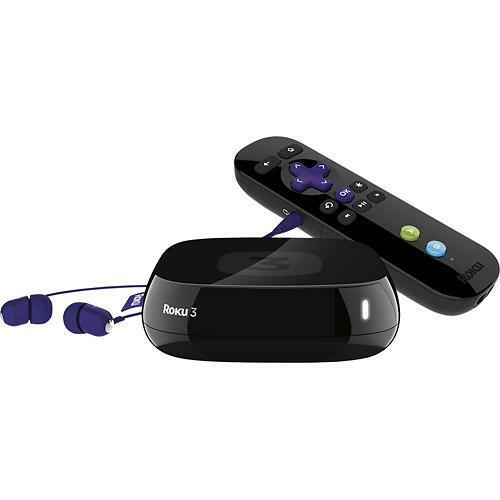 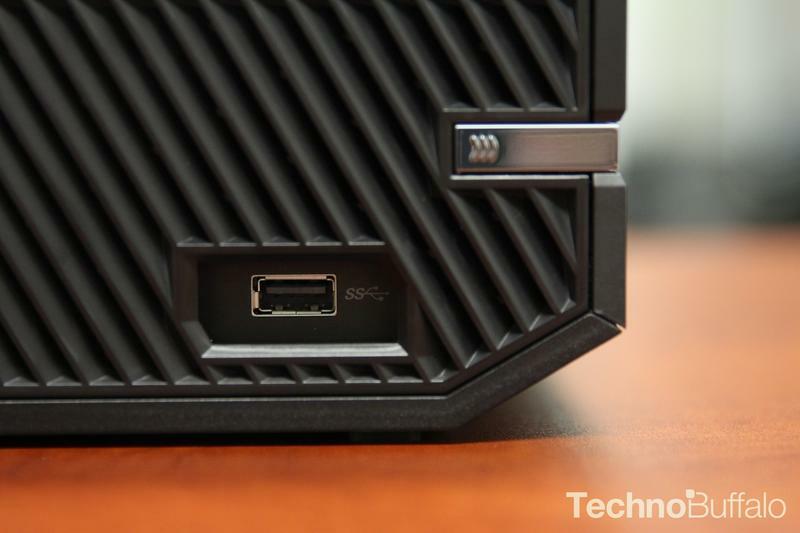 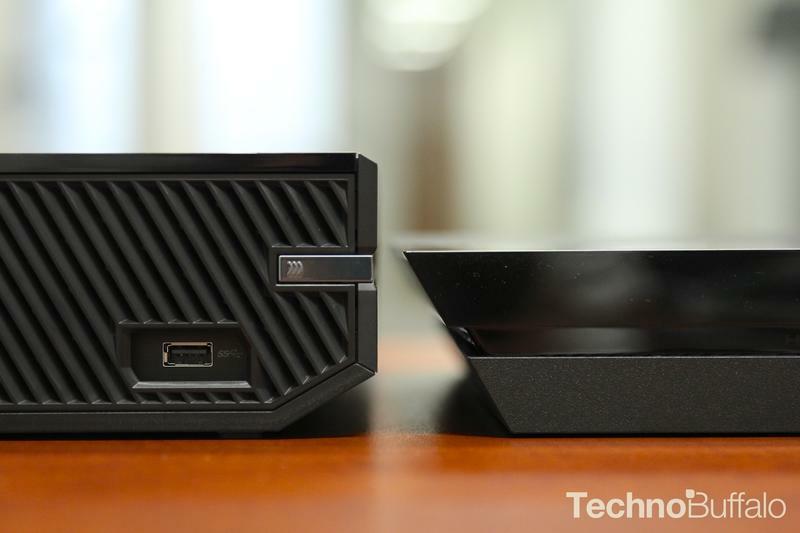 Though Sling Media offers the Slingbox 350 for just $179.99. 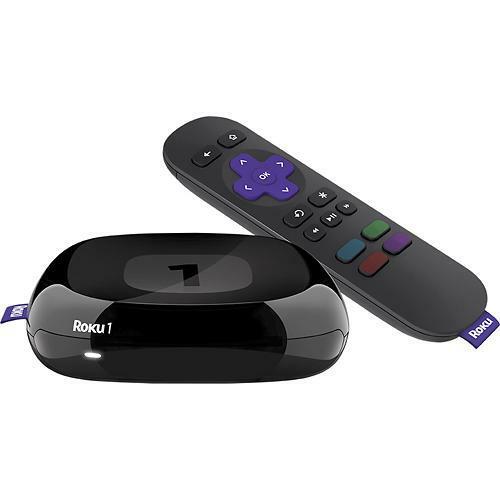 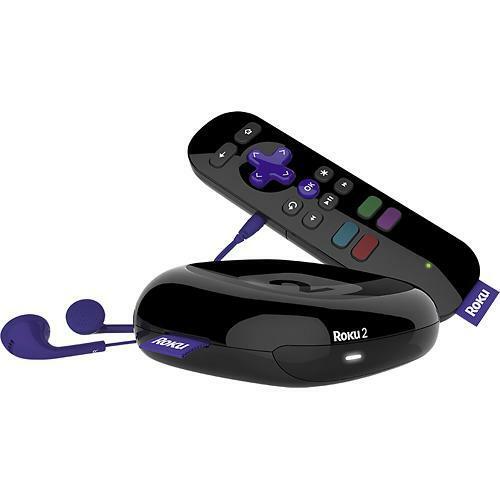 Both are perfect for those moments when you say “I wish I could watch MY TV right now.” I find the technology convenient to be able to watch my TV away from my home, on my smartphone or tablet. 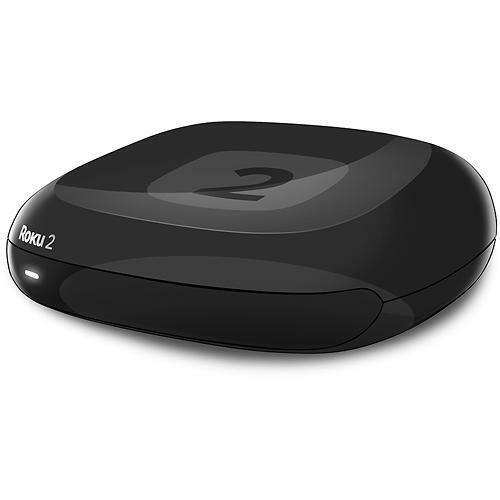 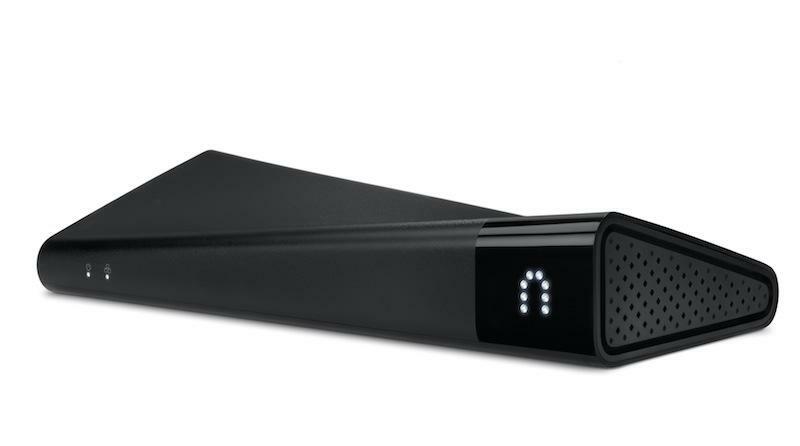 If you travel often or have a long commute The Slingbox the perfect way to do so when Netflix and Hulu are out of the question. 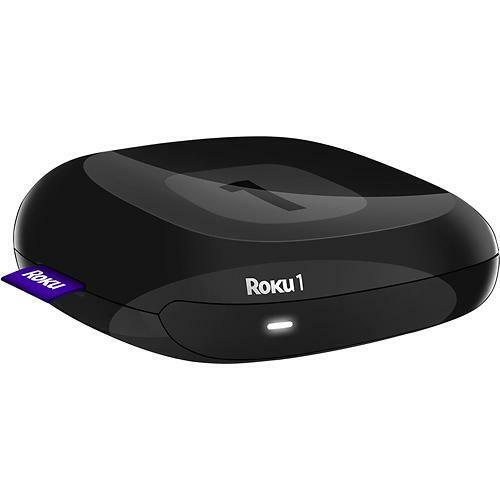 I find it extremely useful when I’m out shopping with my wife and I want to catch up on a game or if I’m away from home and need to watch a local feed. 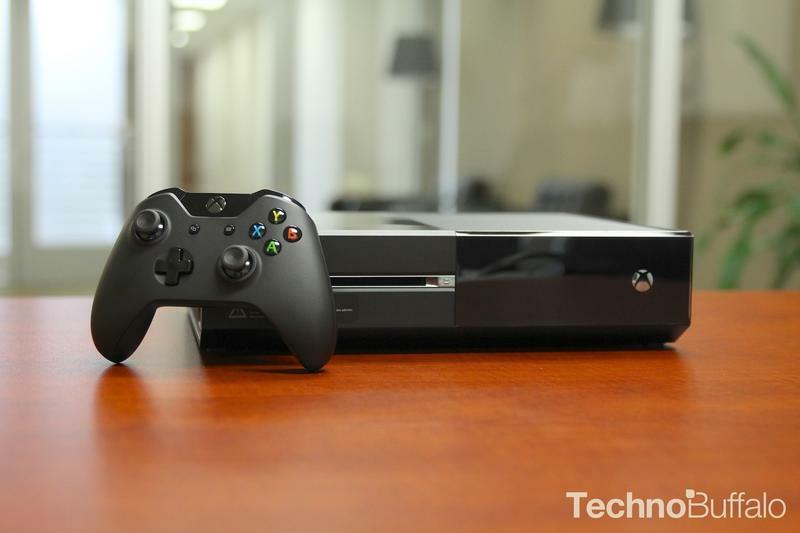 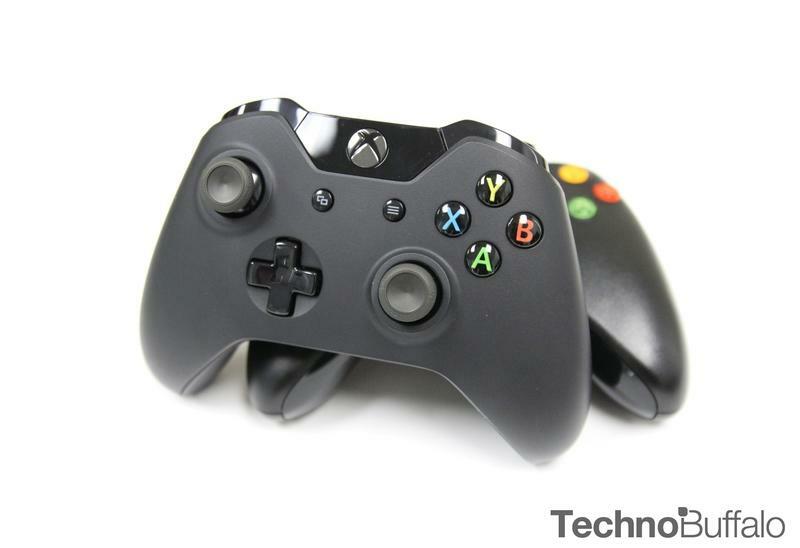 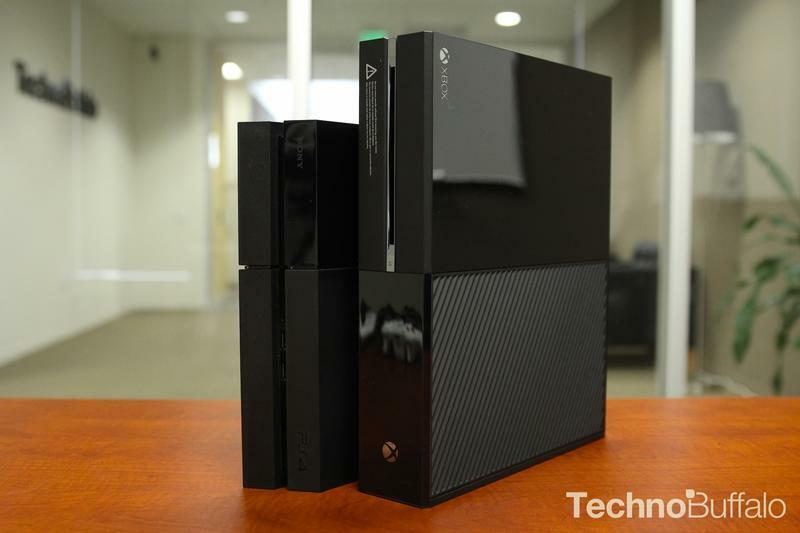 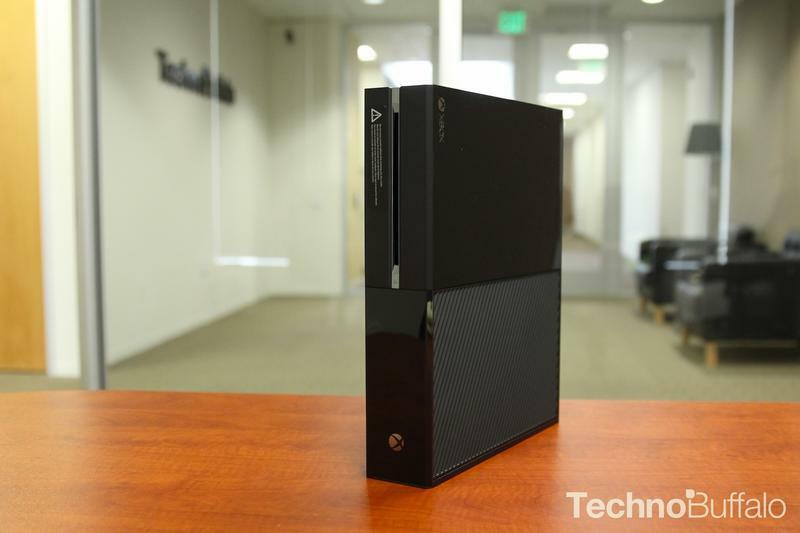 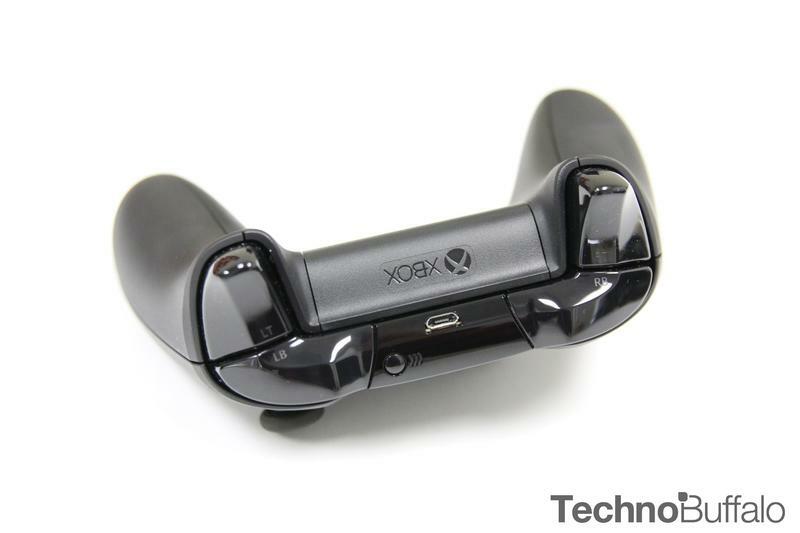 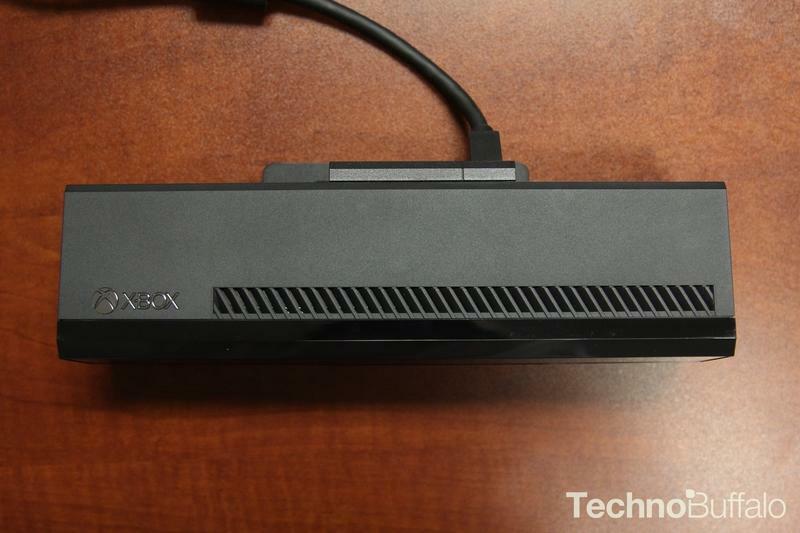 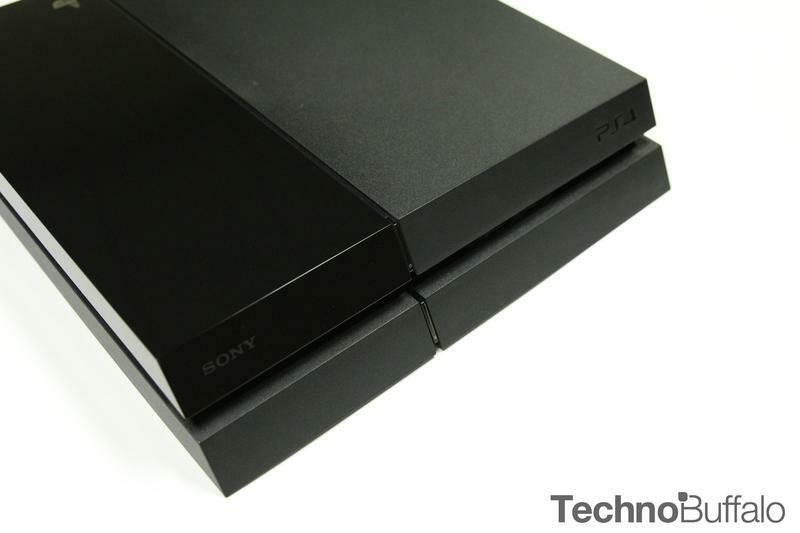 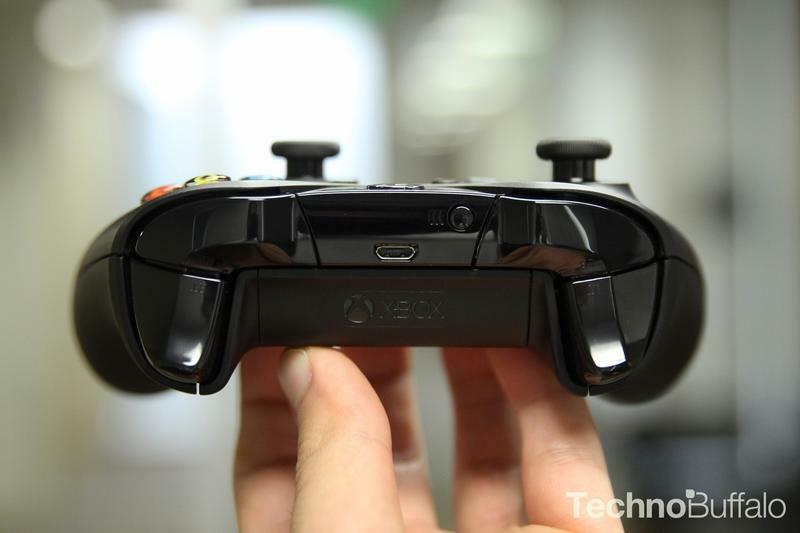 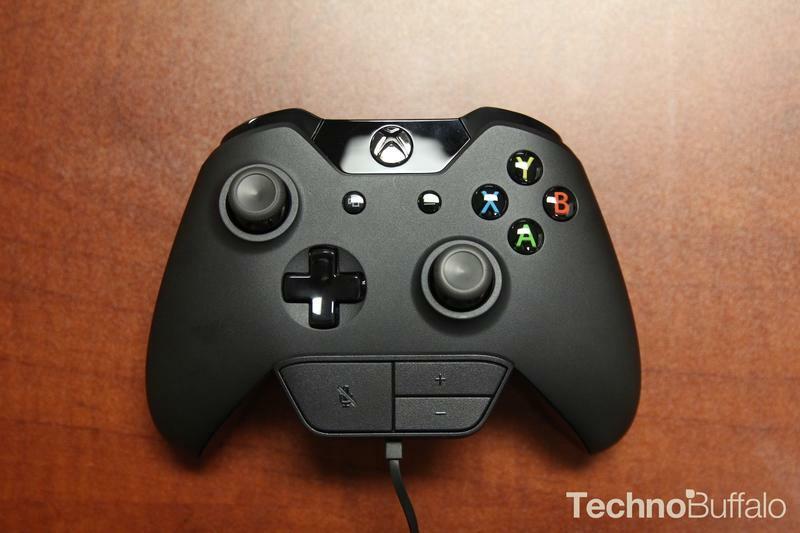 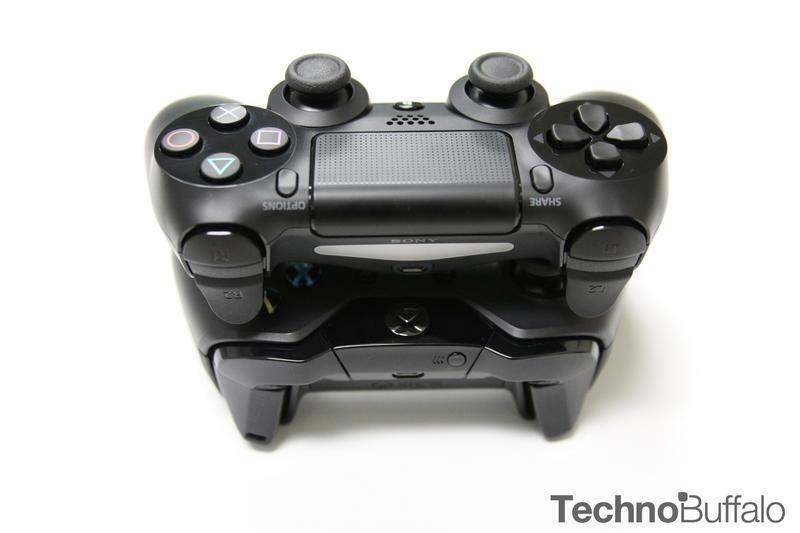 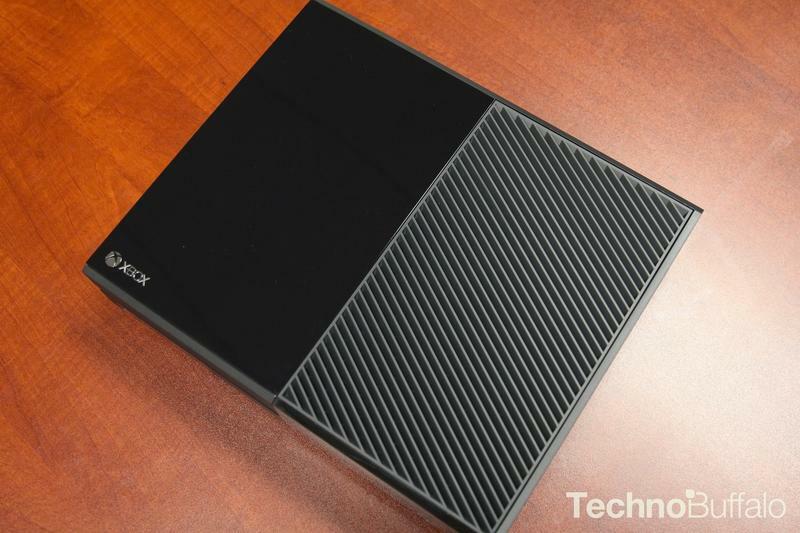 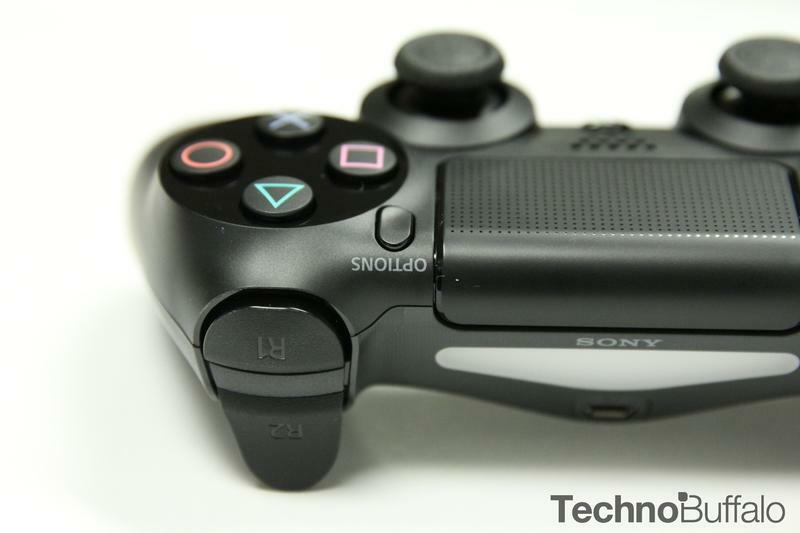 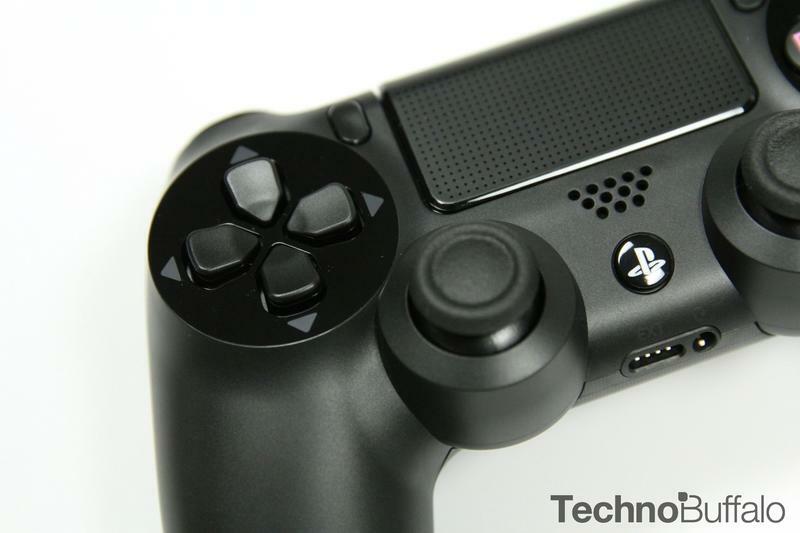 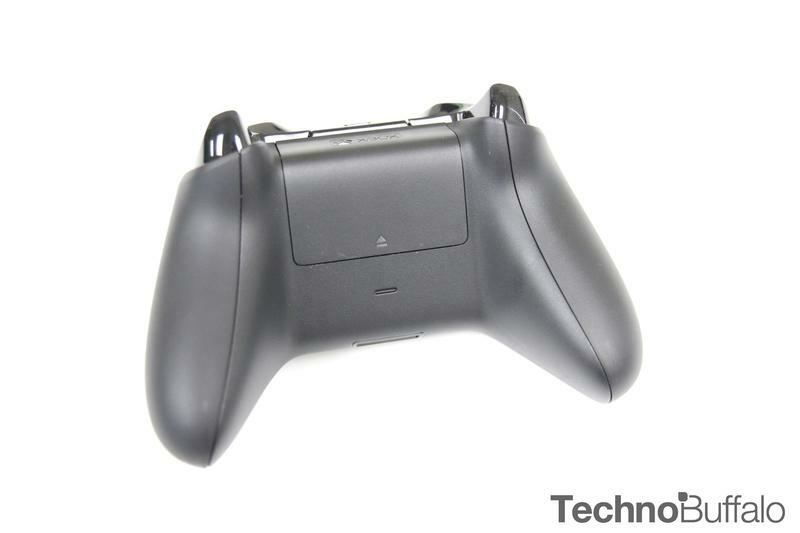 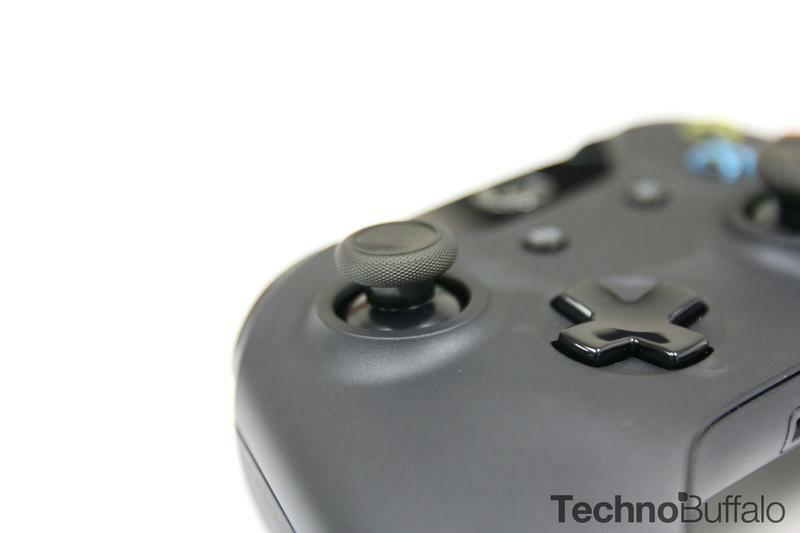 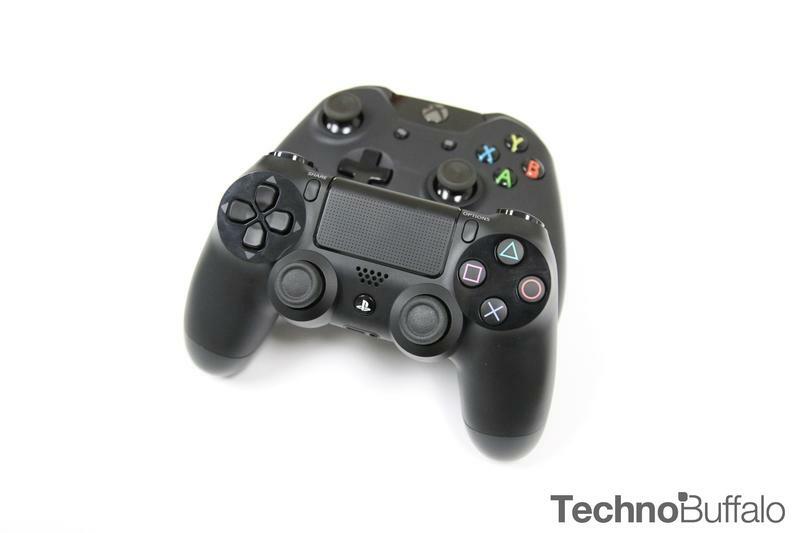 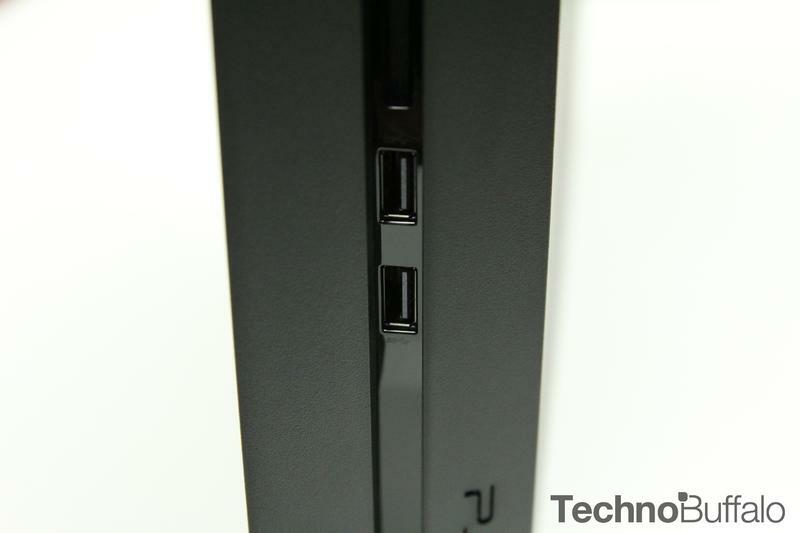 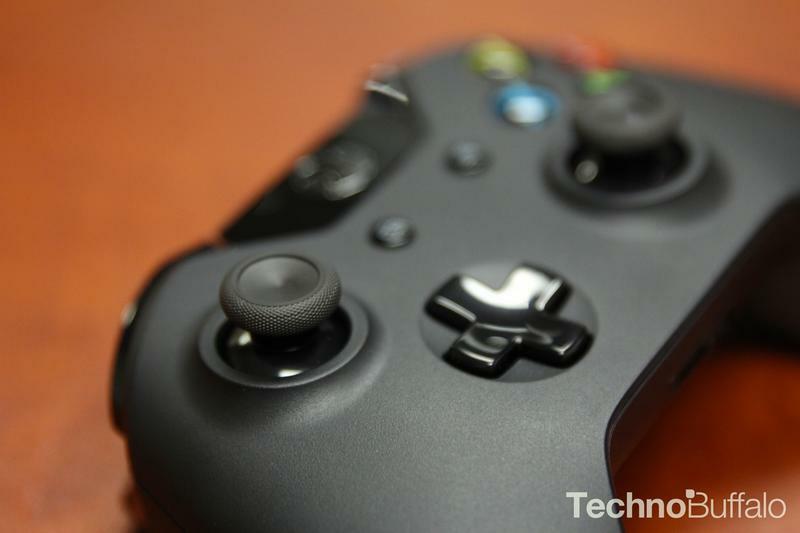 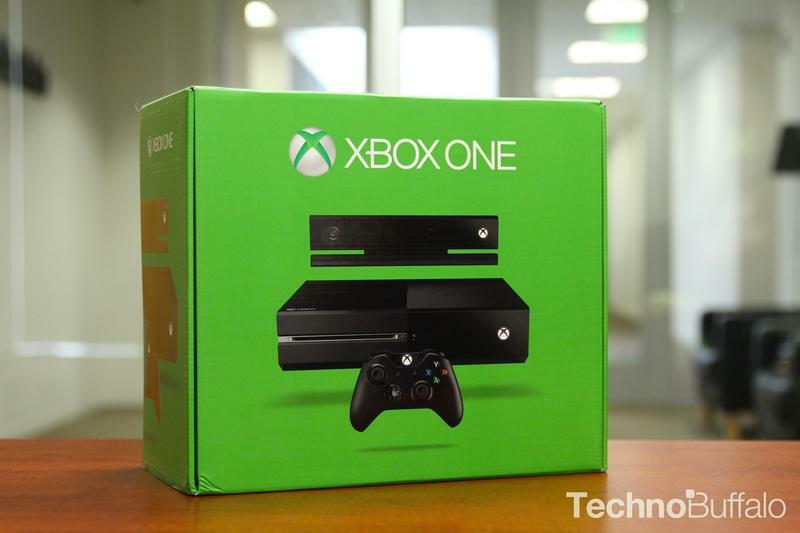 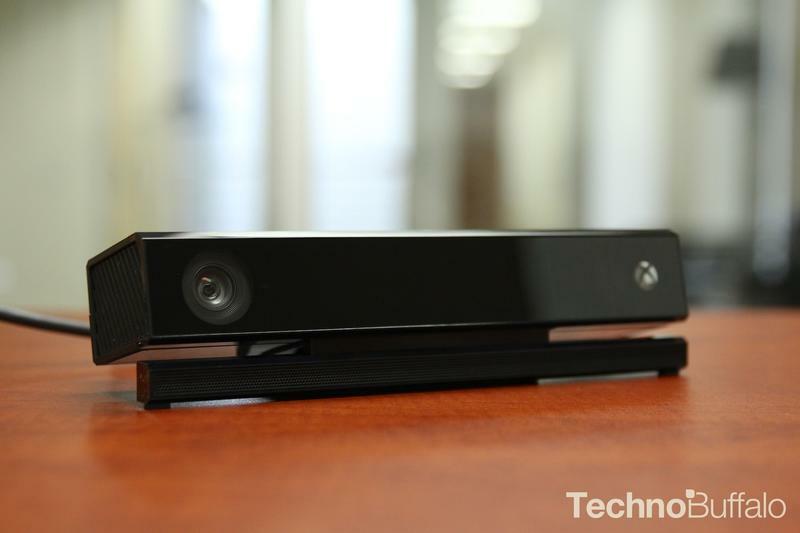 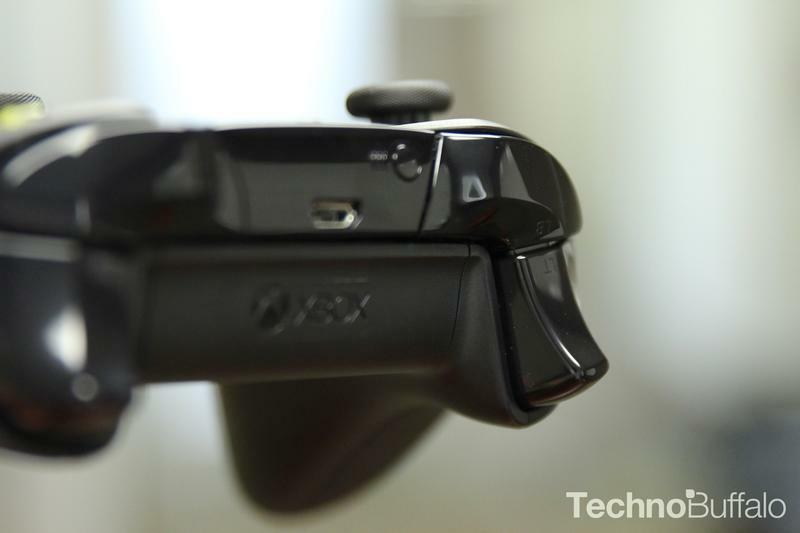 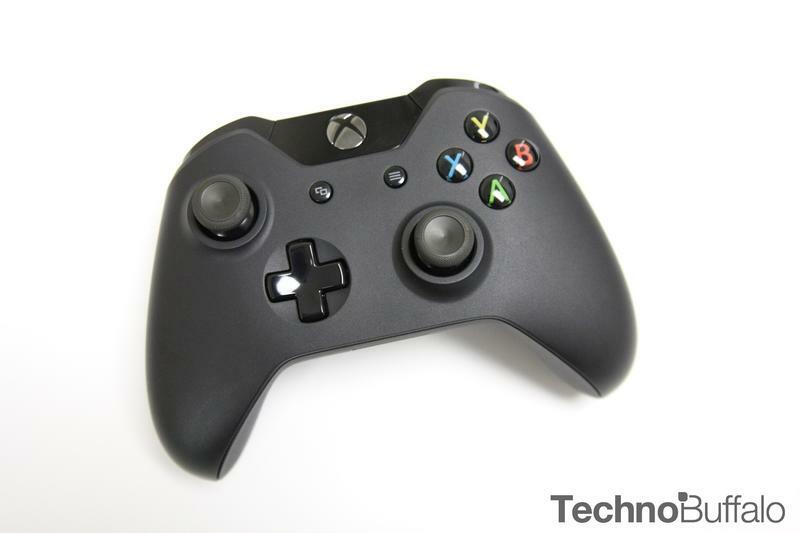 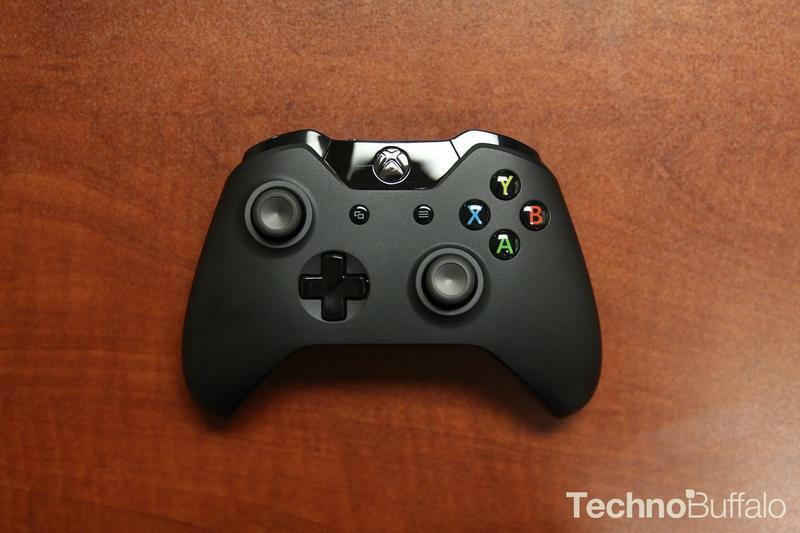 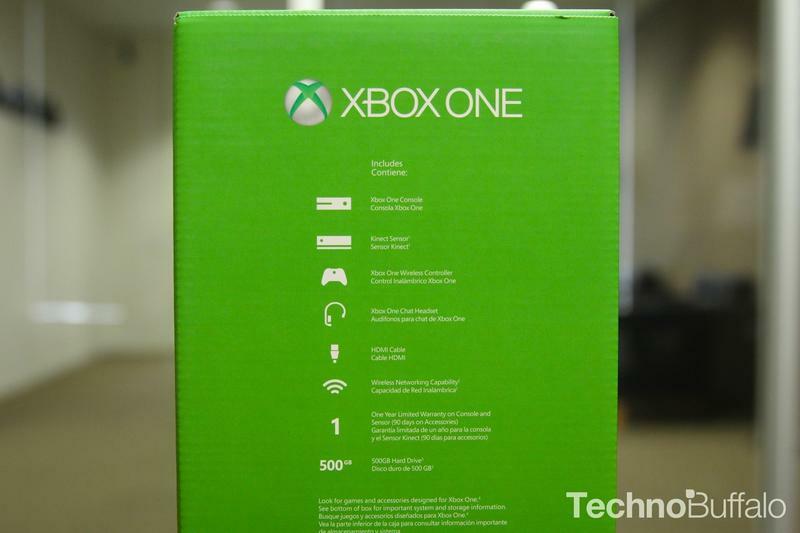 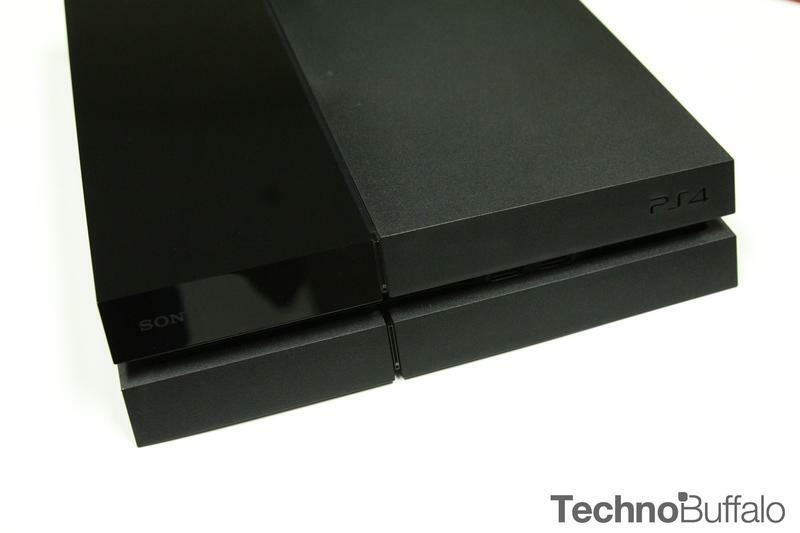 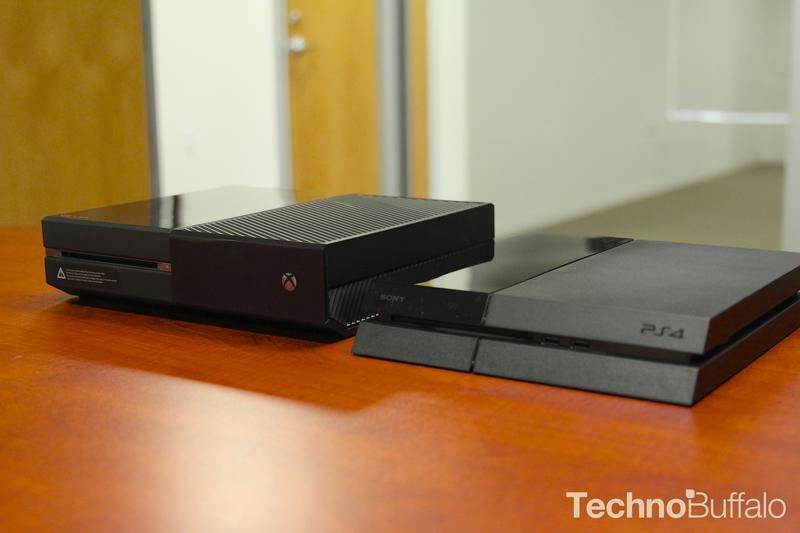 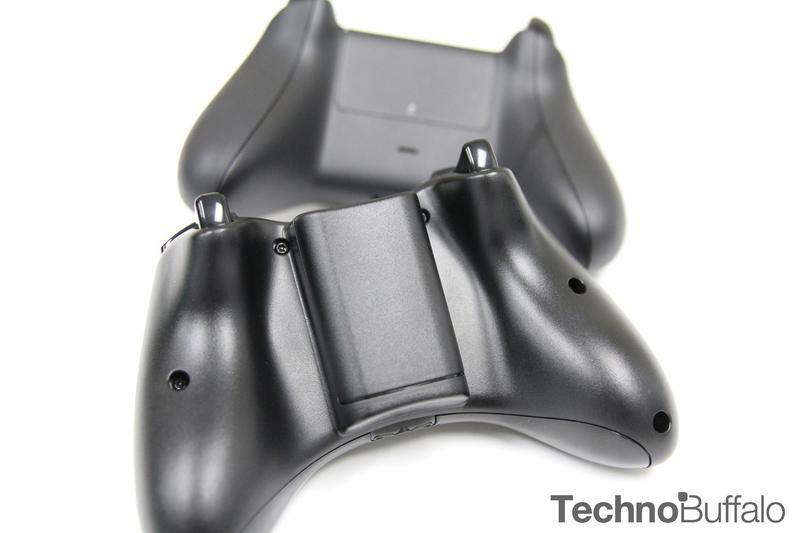 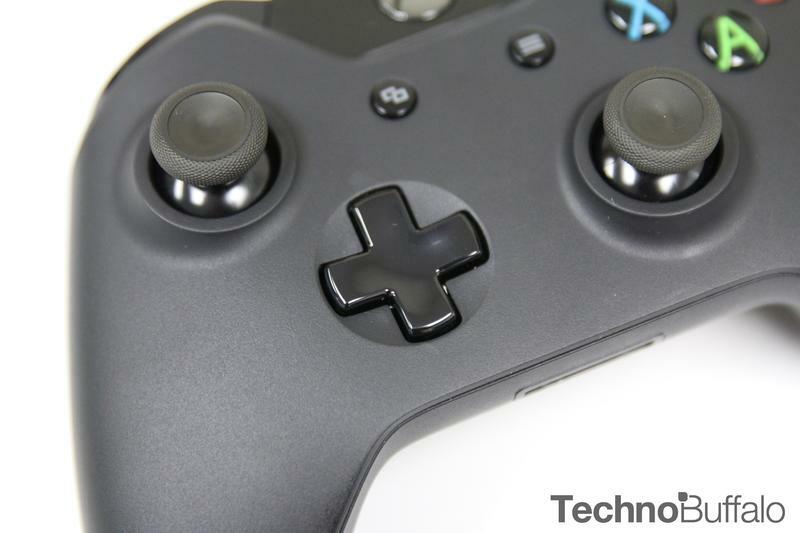 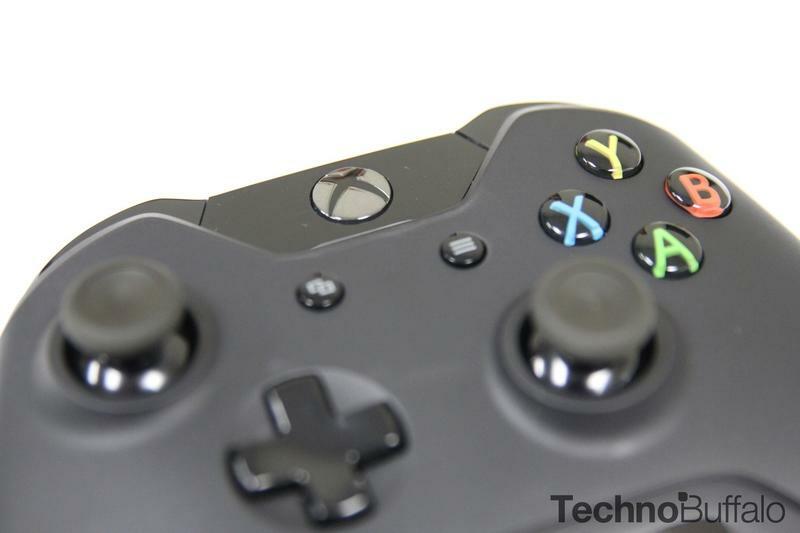 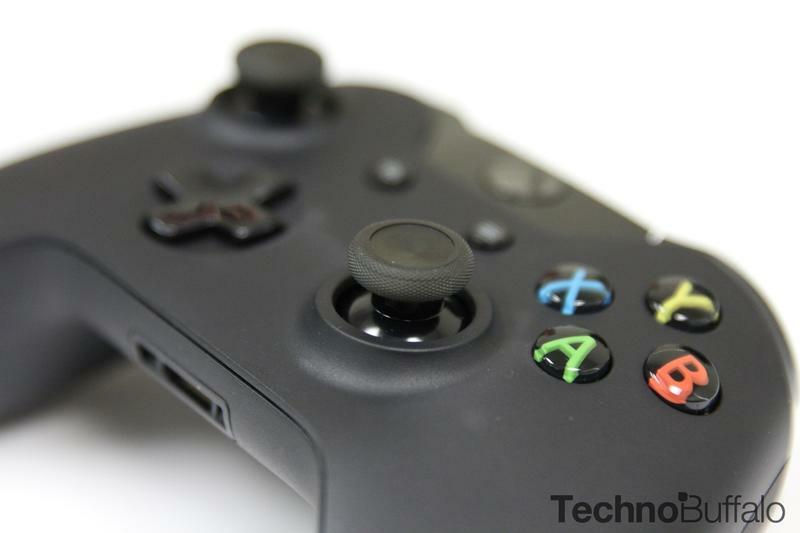 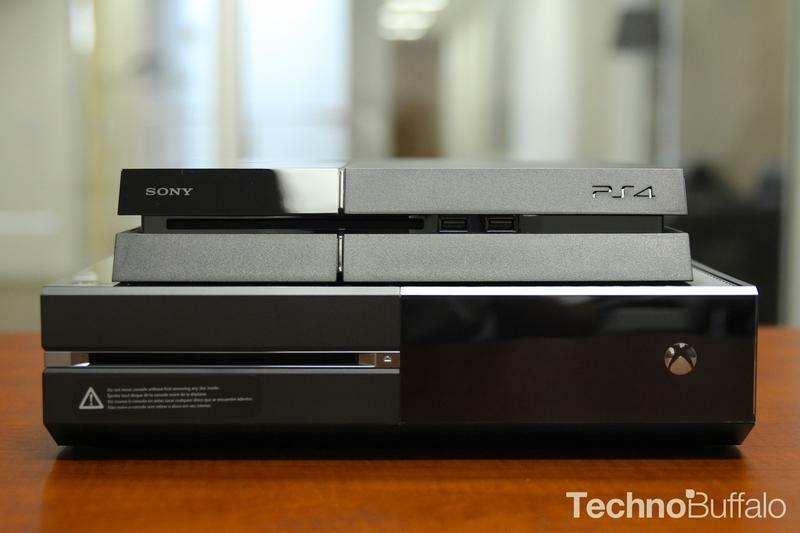 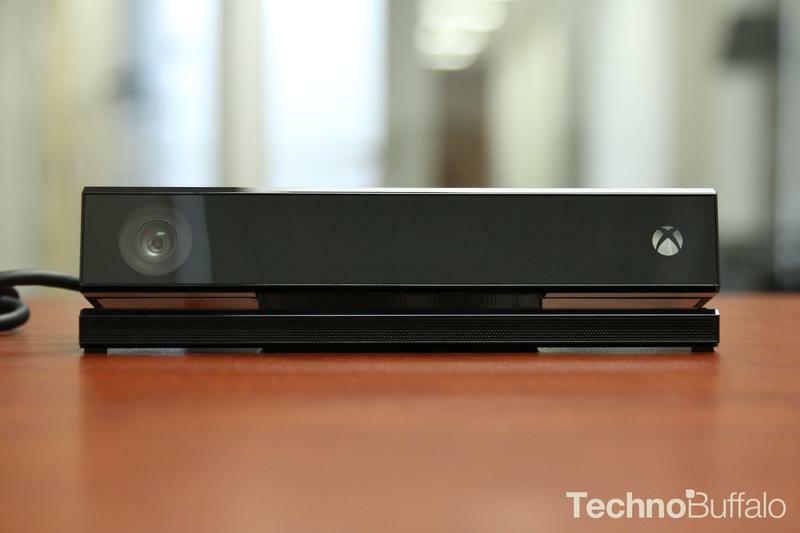 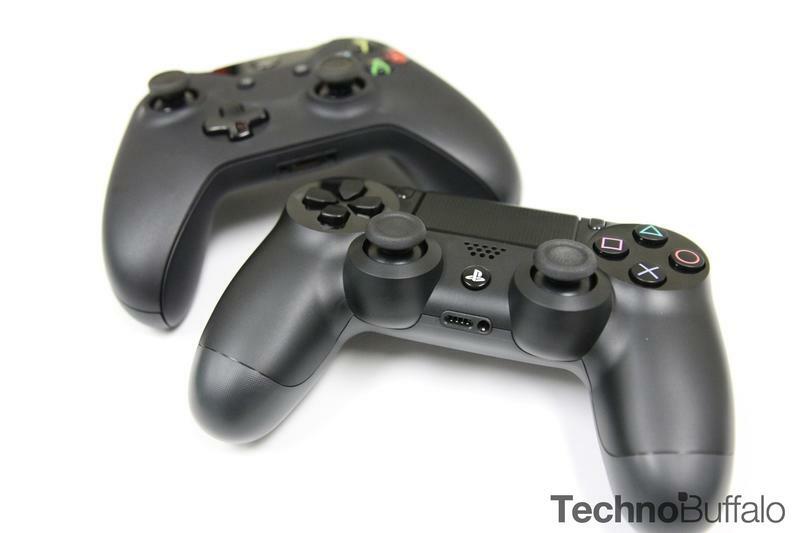 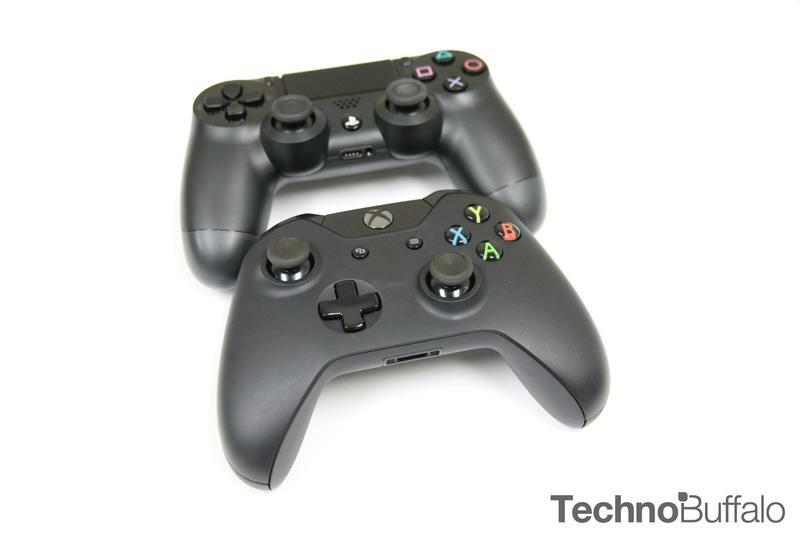 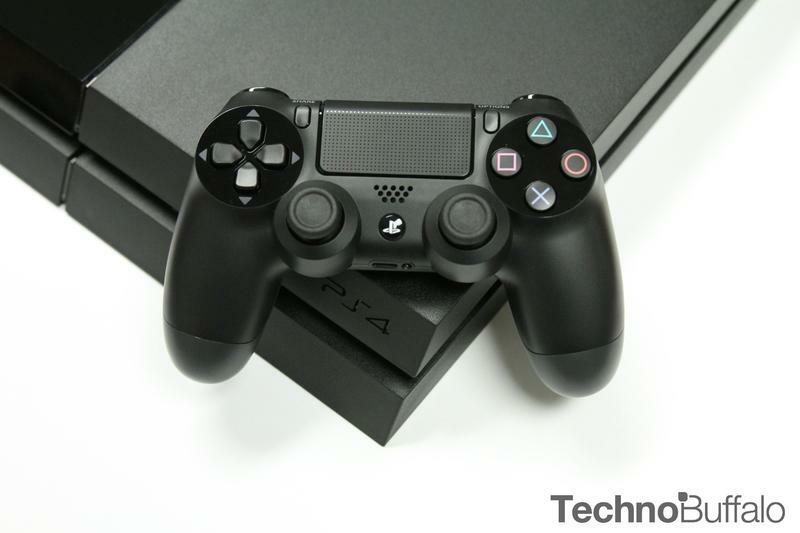 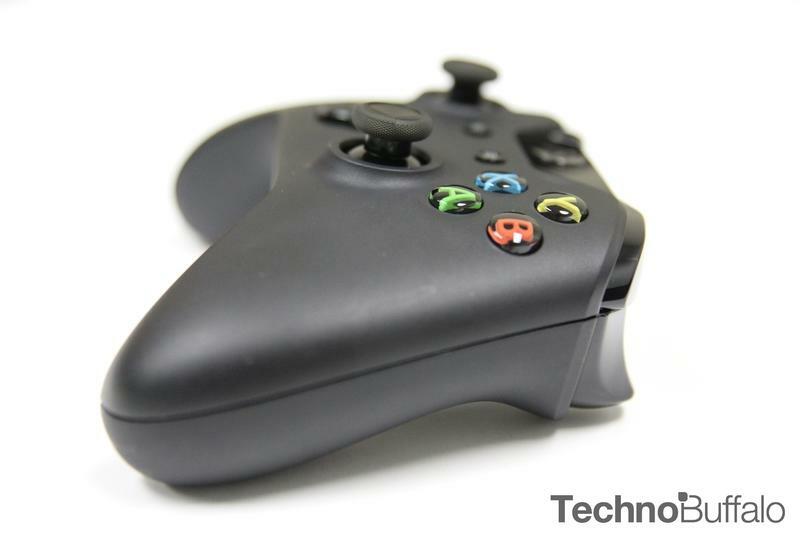 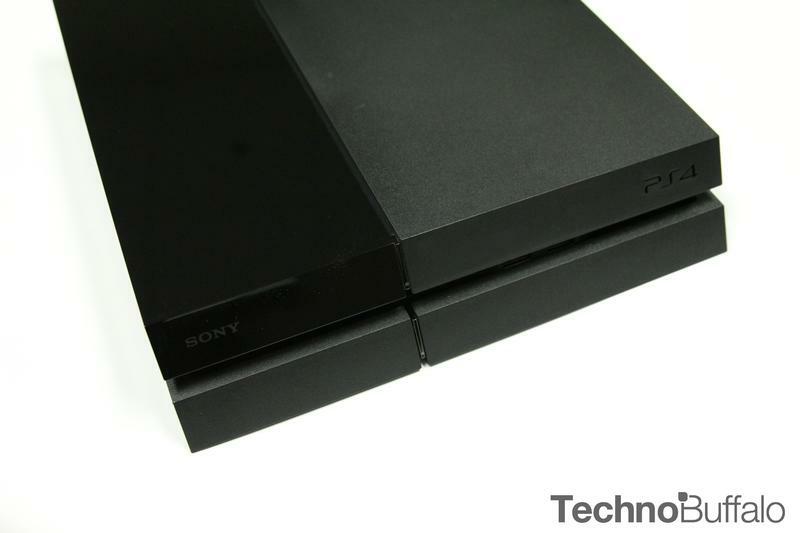 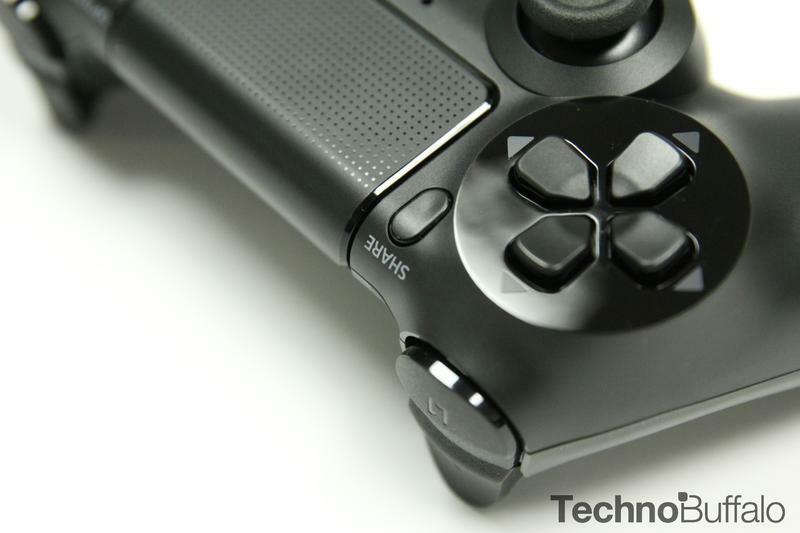 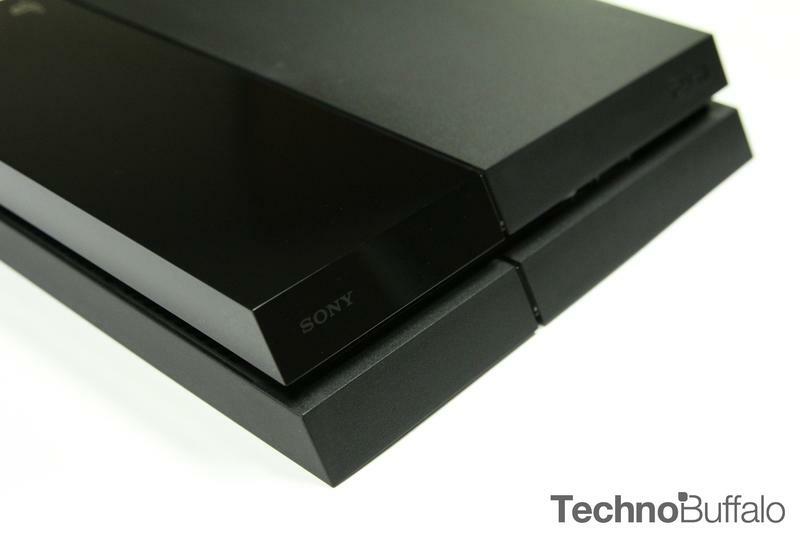 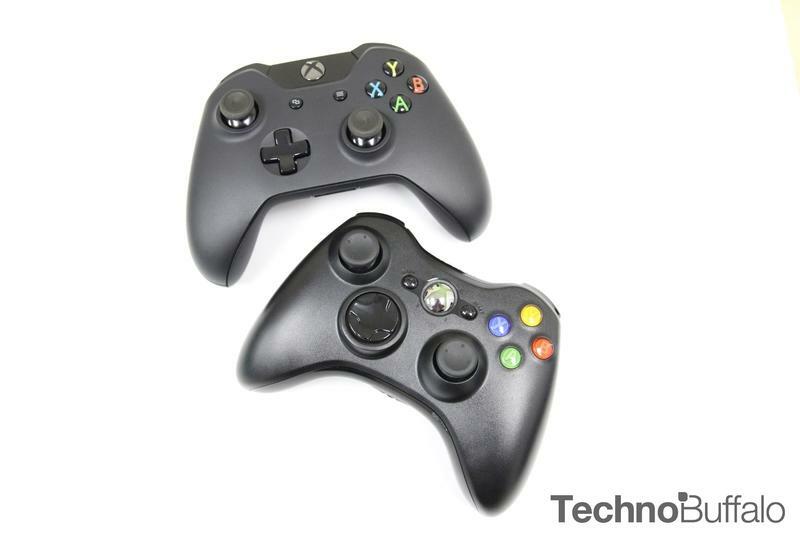 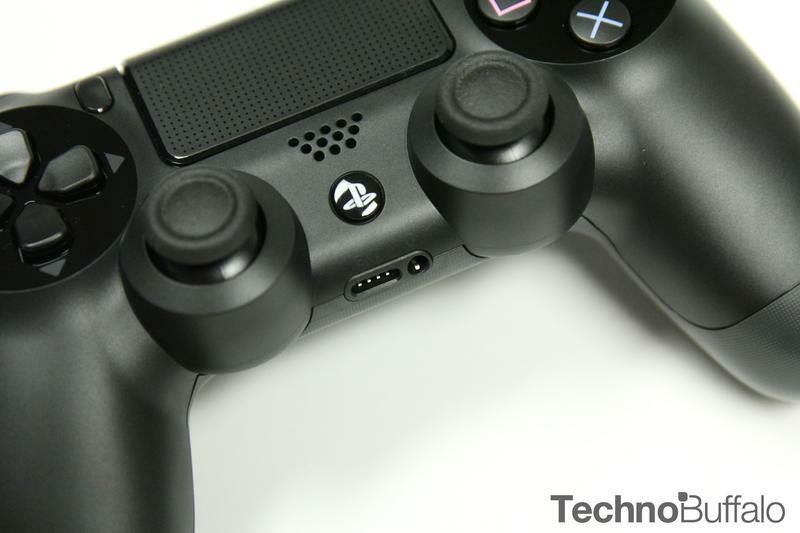 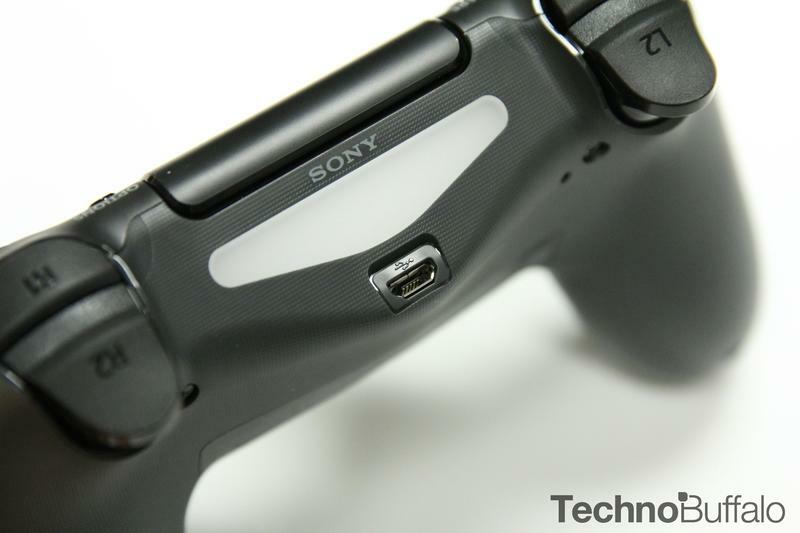 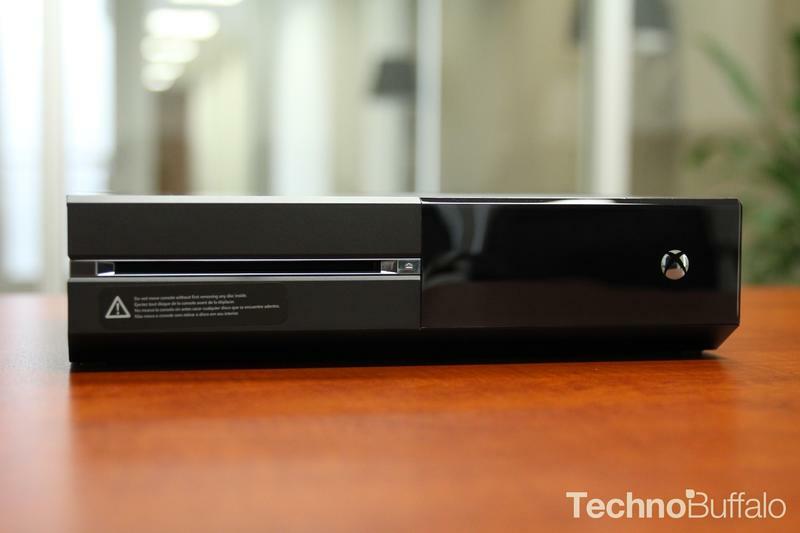 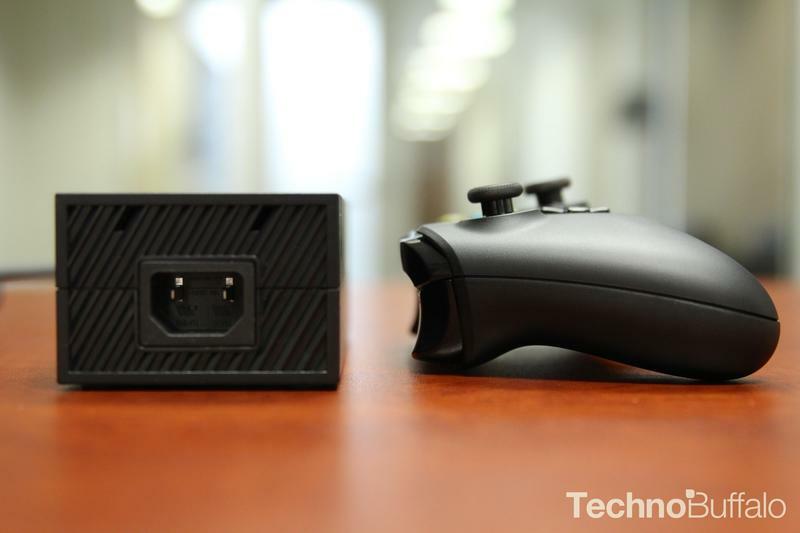 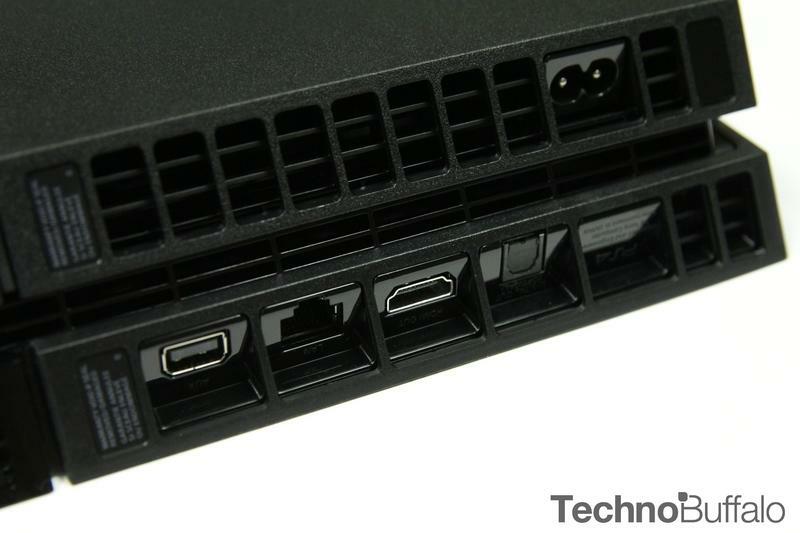 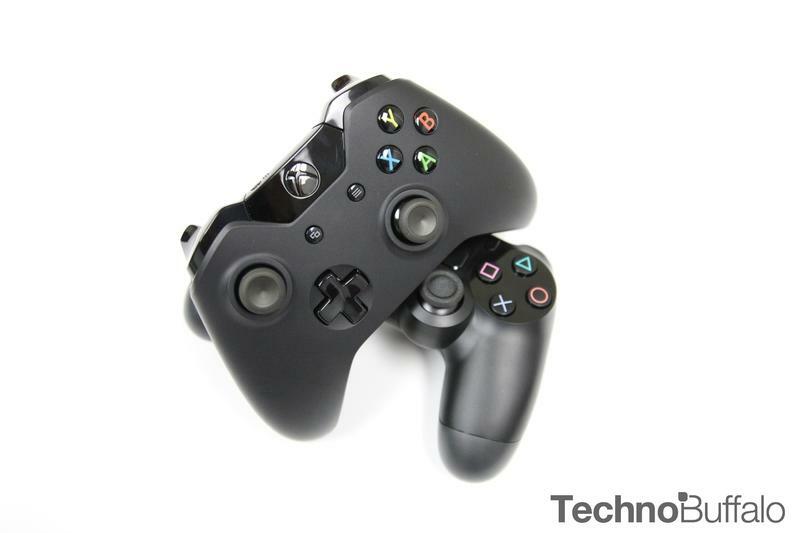 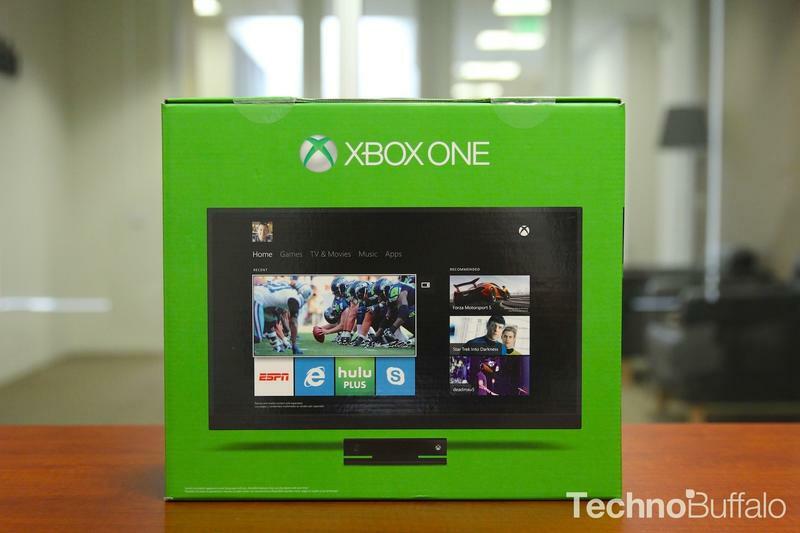 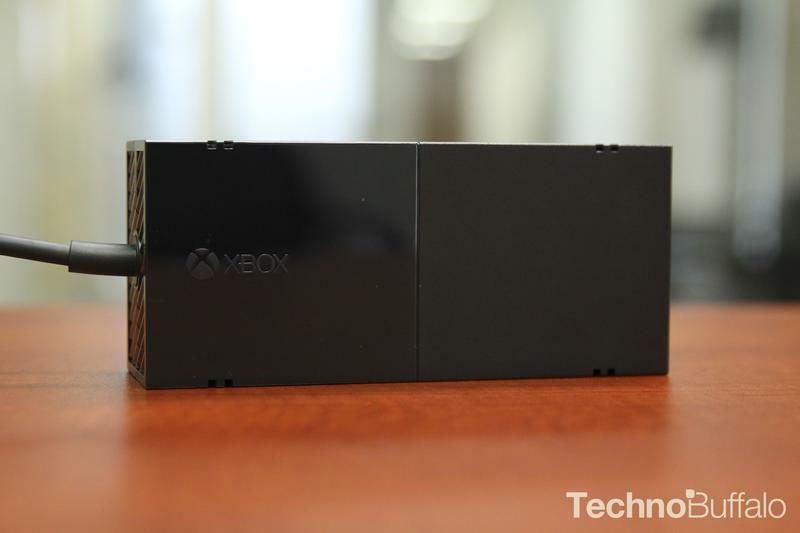 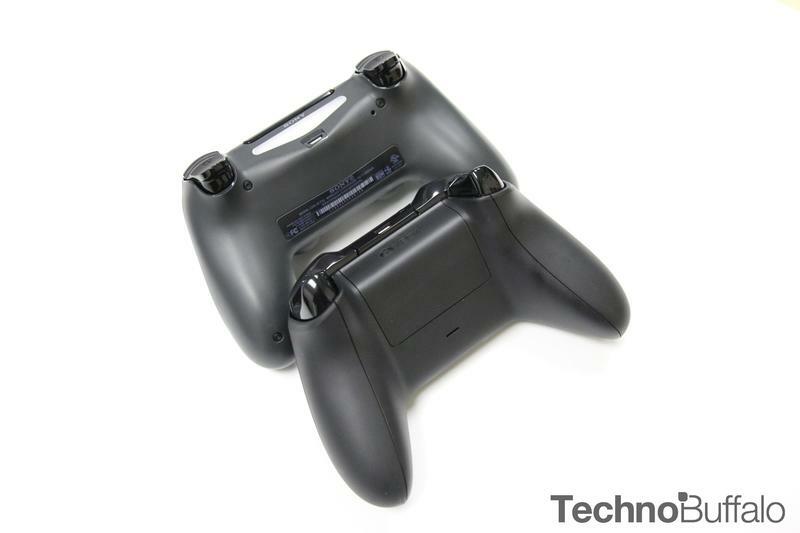 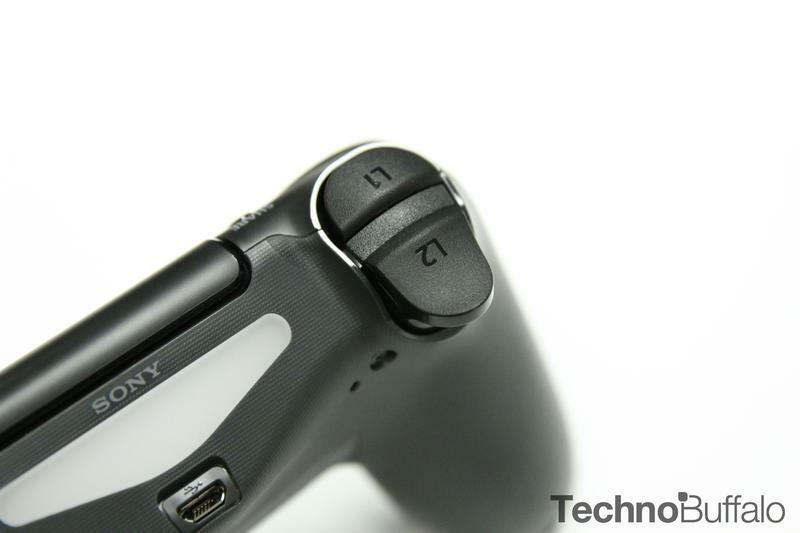 Sony and Microsoft just gifted us with new iterations of gaming consoles. 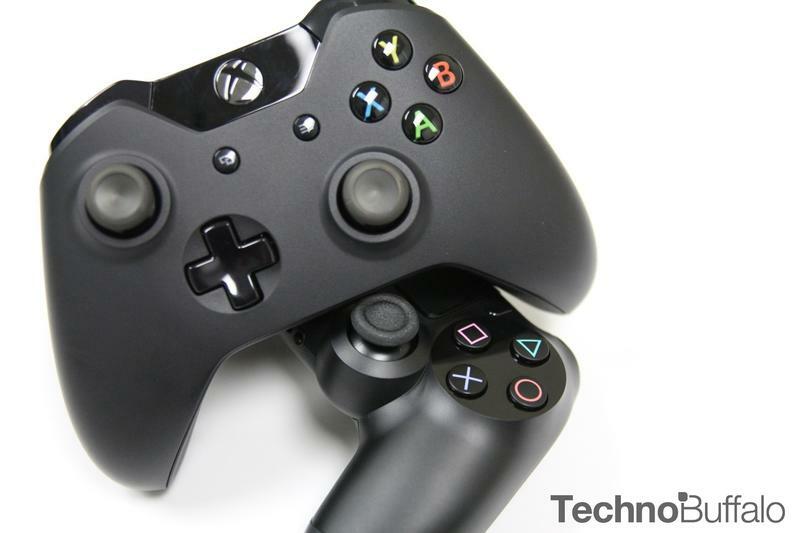 You can’t mention a proper home theater set up without mentioning gaming consoles. 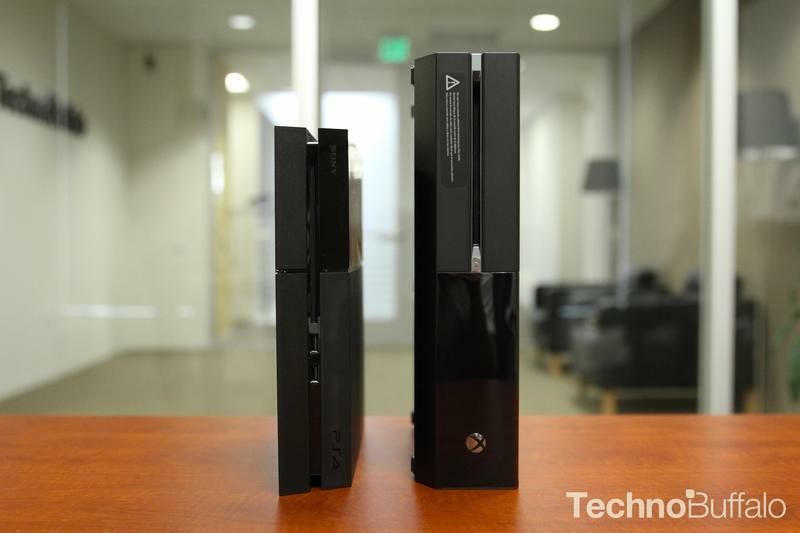 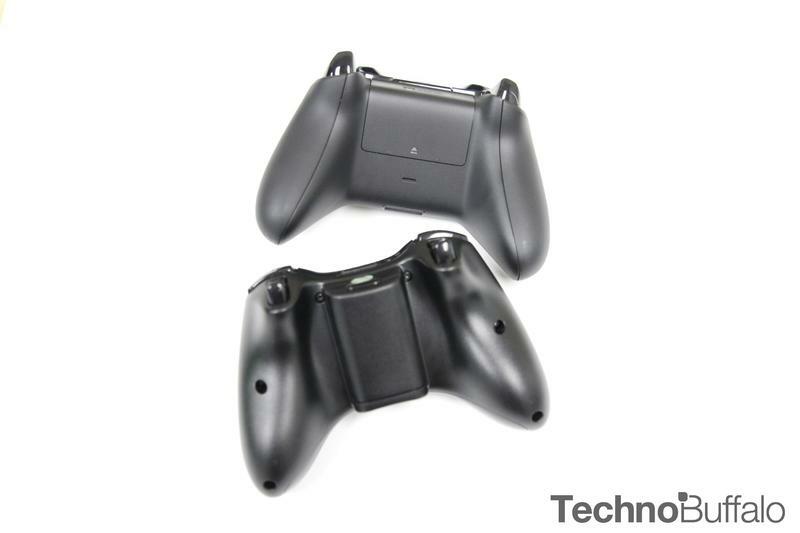 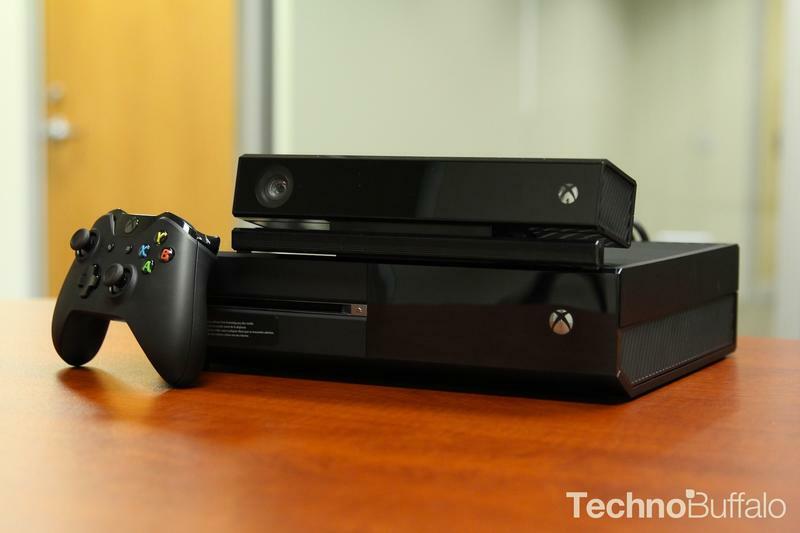 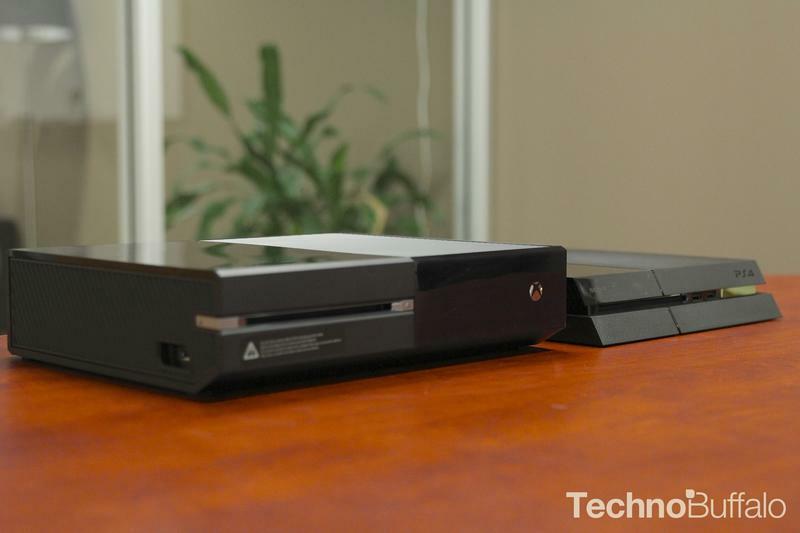 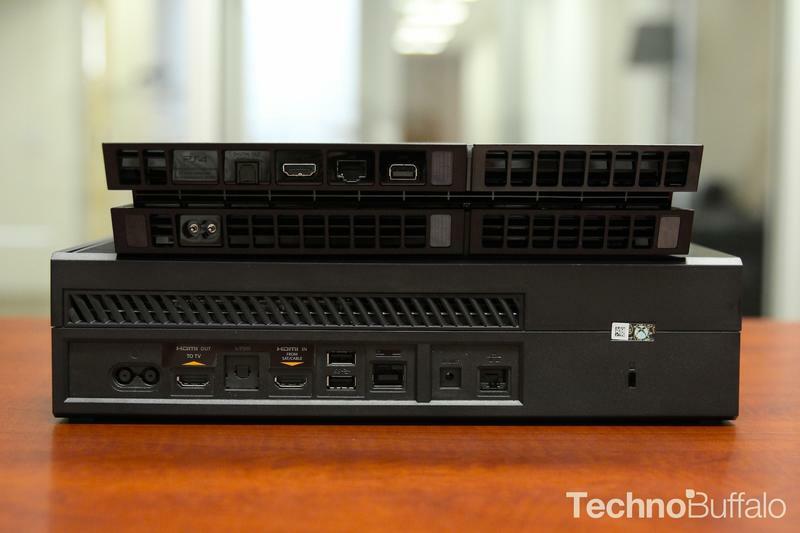 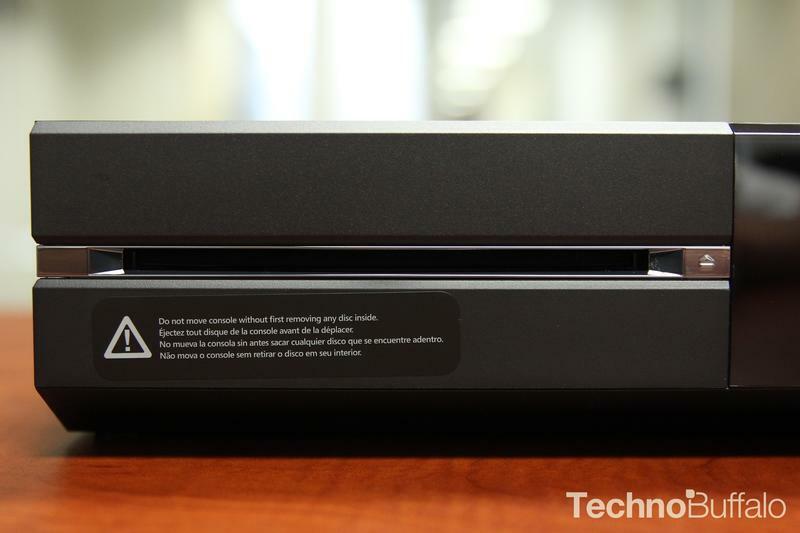 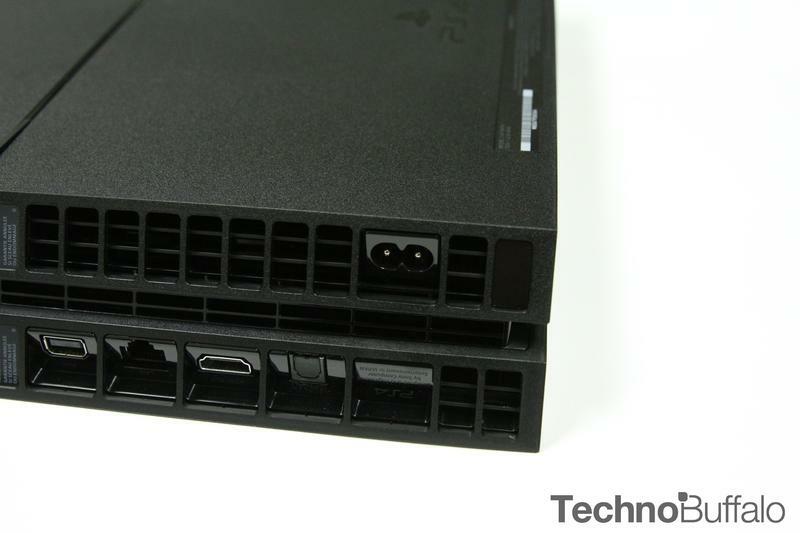 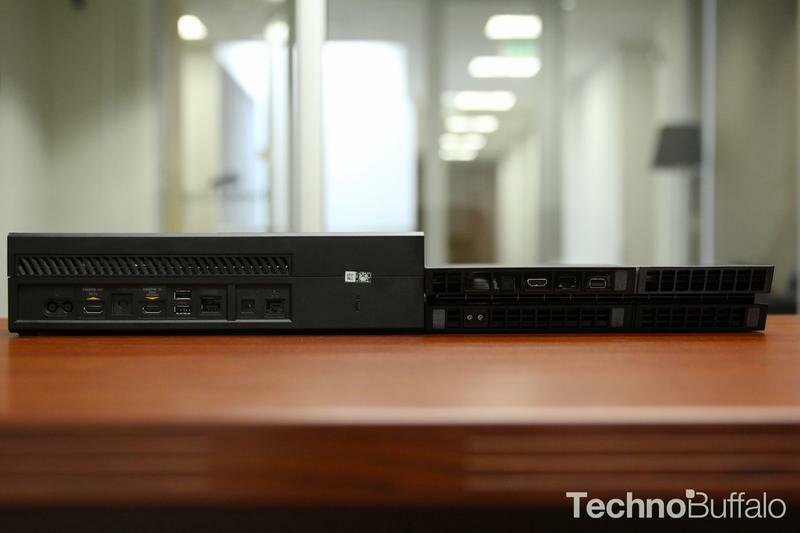 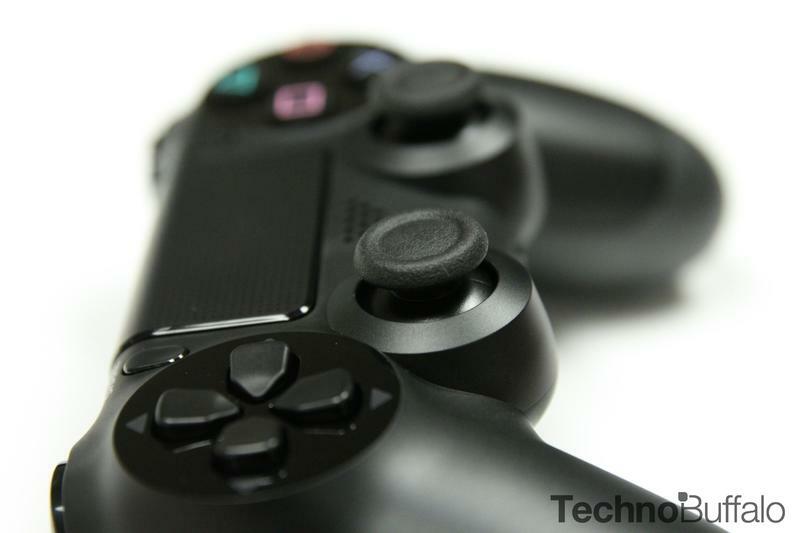 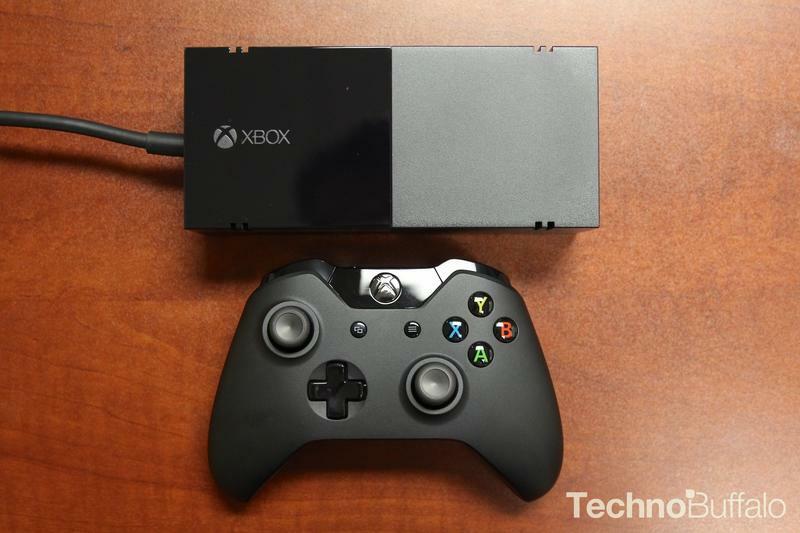 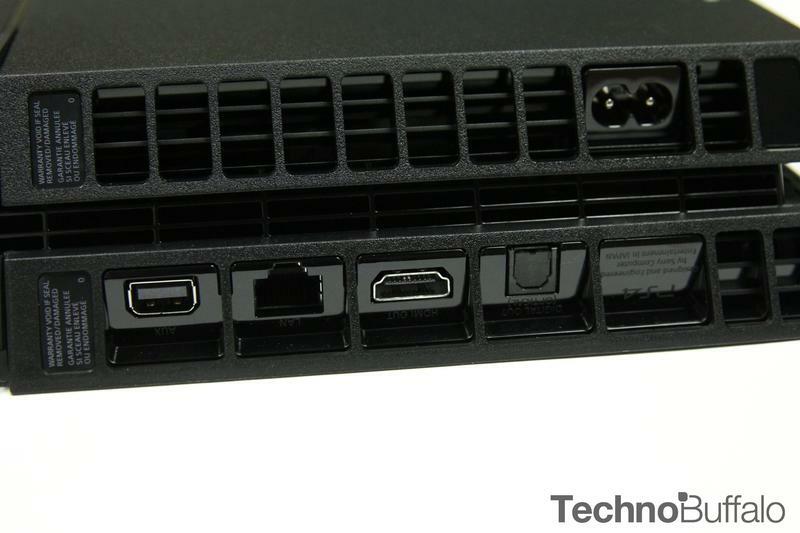 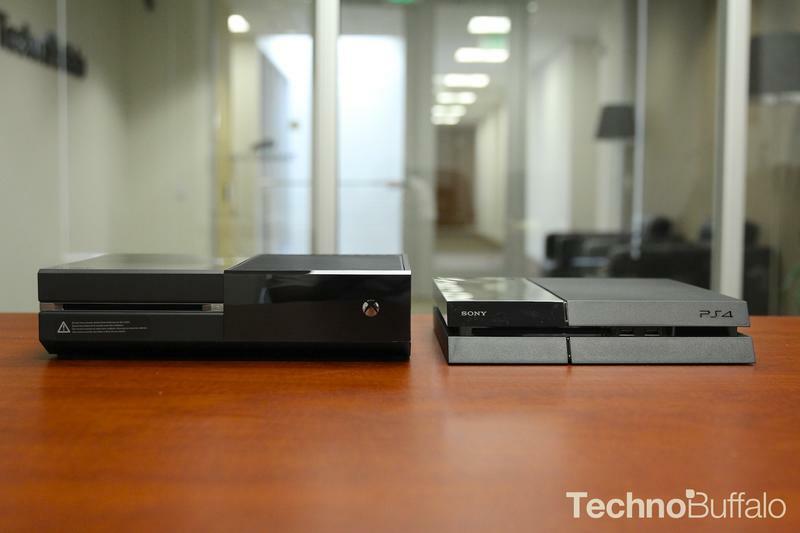 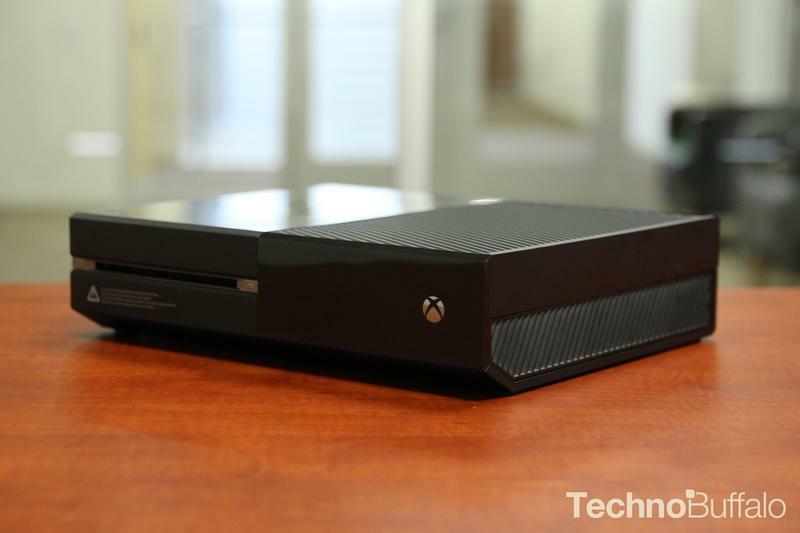 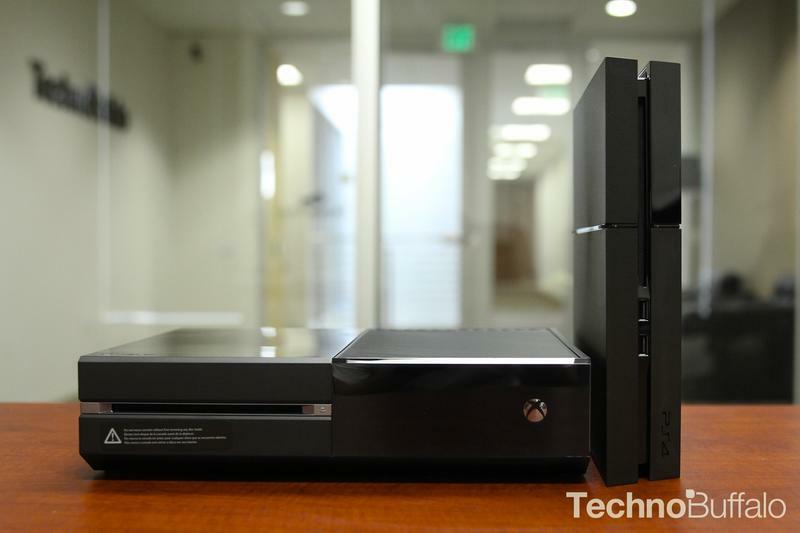 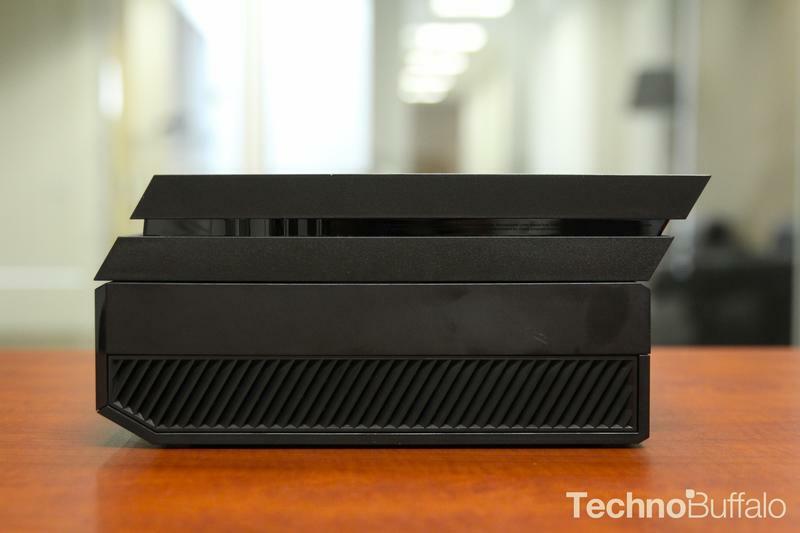 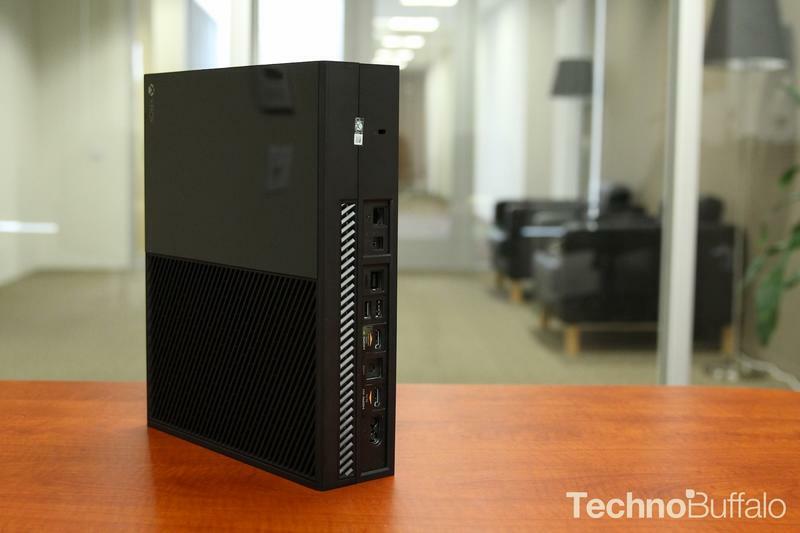 The Xbox One and PS 4 both are capable media streaming machines and Blu-ray players in addition to being rocking gaming machines. 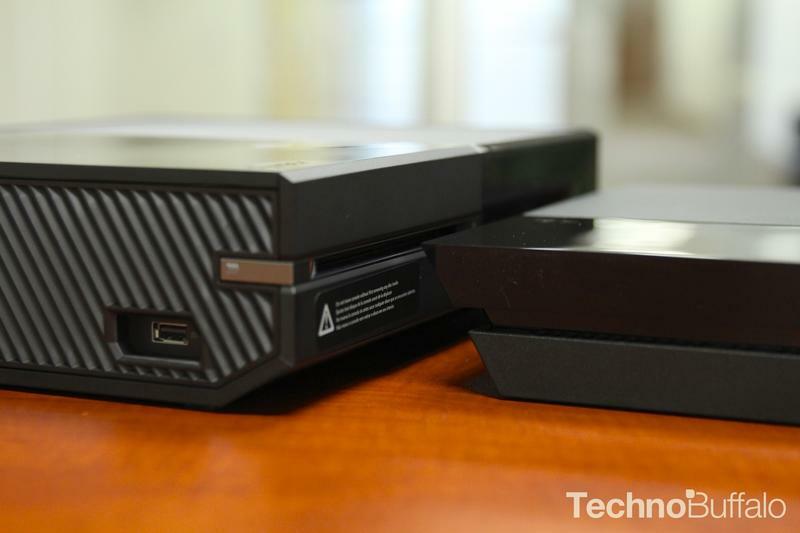 It’s a great time to purchase a new console because you know you will have a better part of a decade before the unit becomes obsolete, or so they tell us. 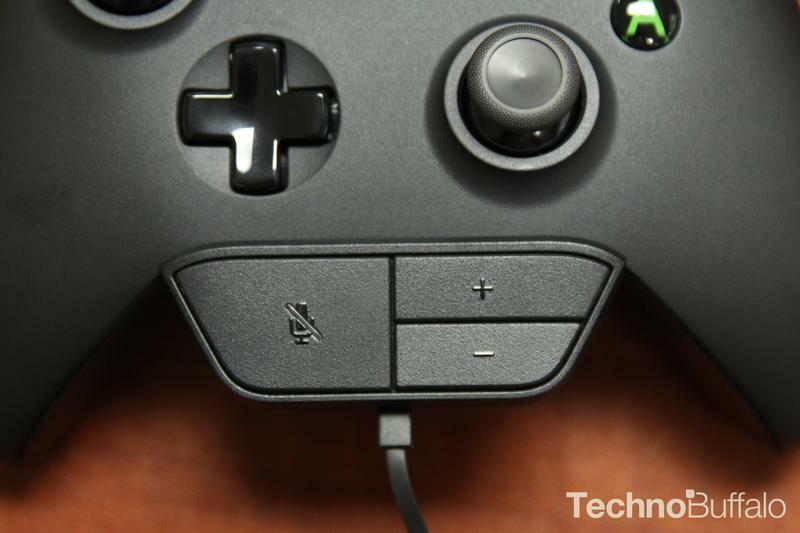 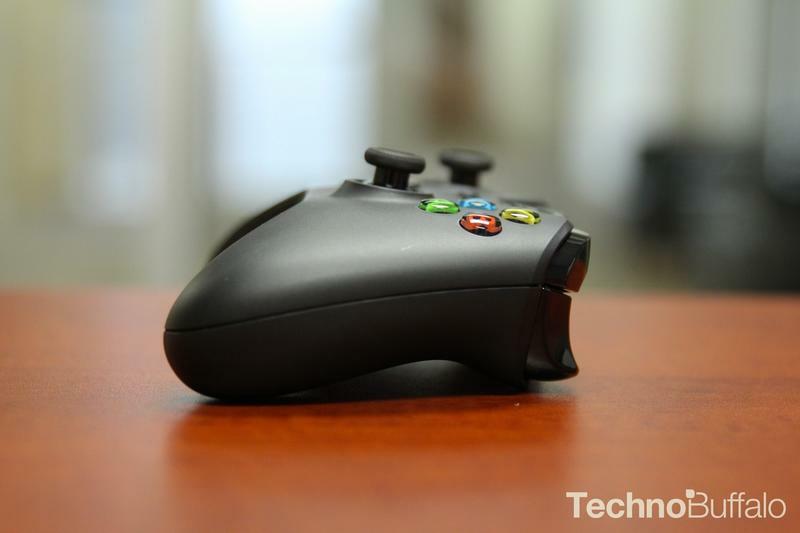 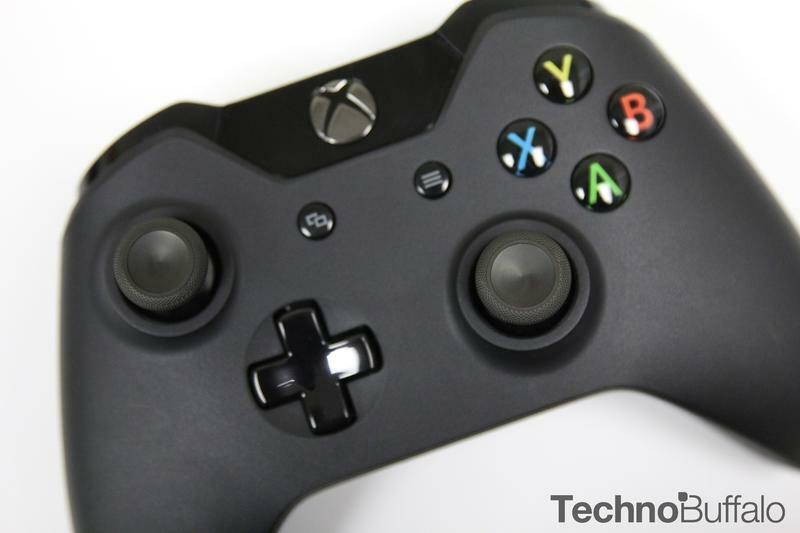 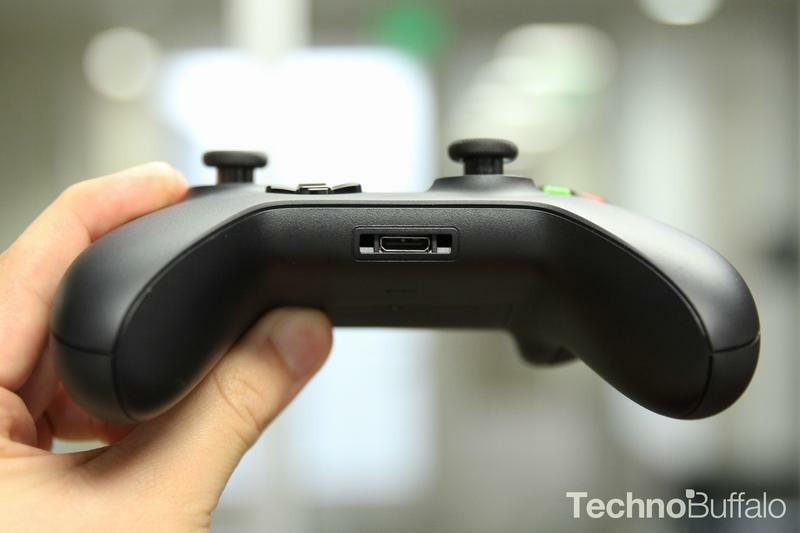 Microsoft branded the Xbox One as the ultimate living room machine during its initial announcement, touting its ability to control your living room through verbal commands and what not. 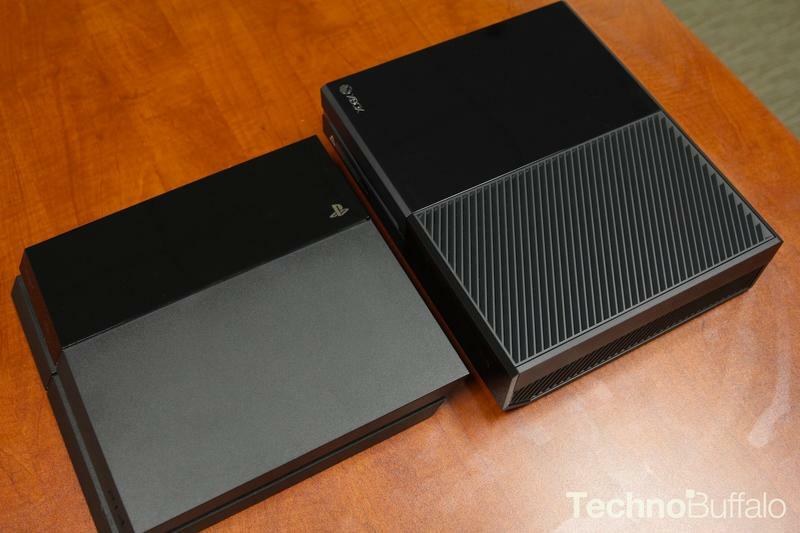 Both consoles have their benefits as well as shortcomings, but I’m sure like previous generation of consoles most gamers will end up with both in due time. 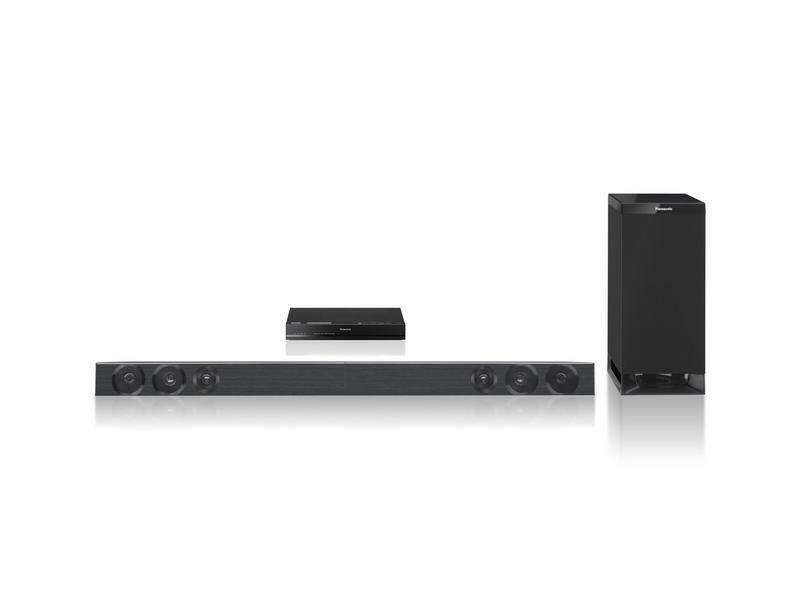 What else would you like to have in your home theater shopping list?